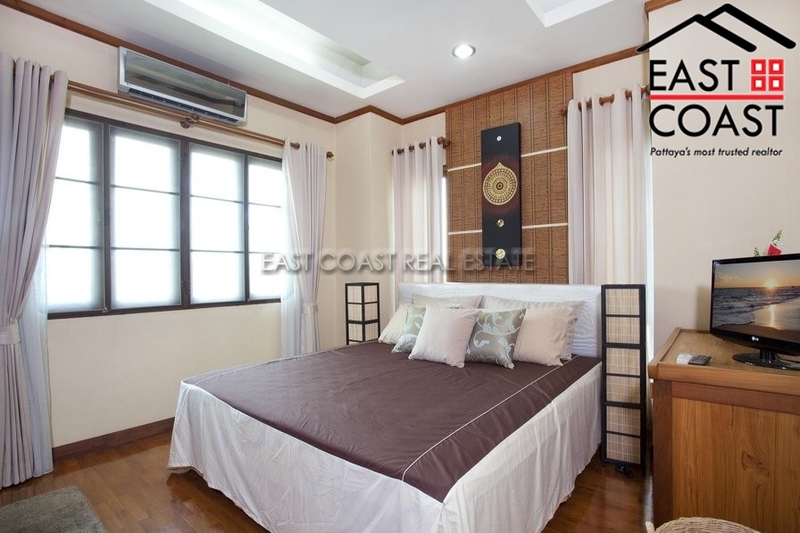 Bedrooms: 3 Bathrooms: 4 In Company Name Living area : 410 sqm. 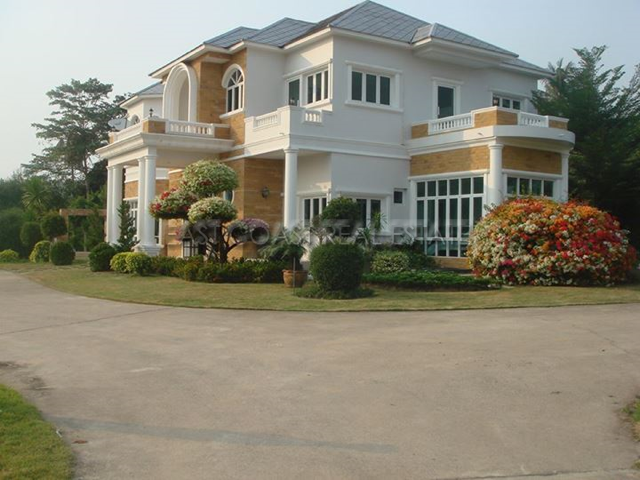 Bang Saray Luxury Home. 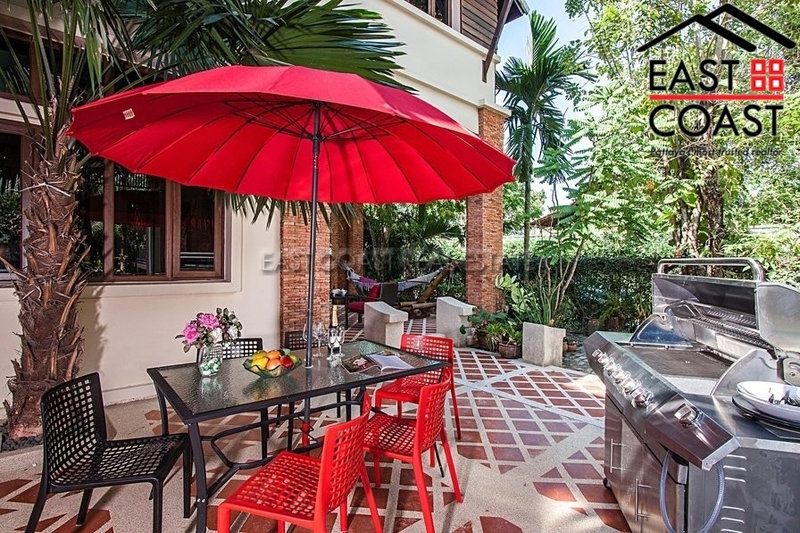 This stand alone property is set just 300 metres from Bang Saray beach in a tranquil peaceful cul-de-sac. 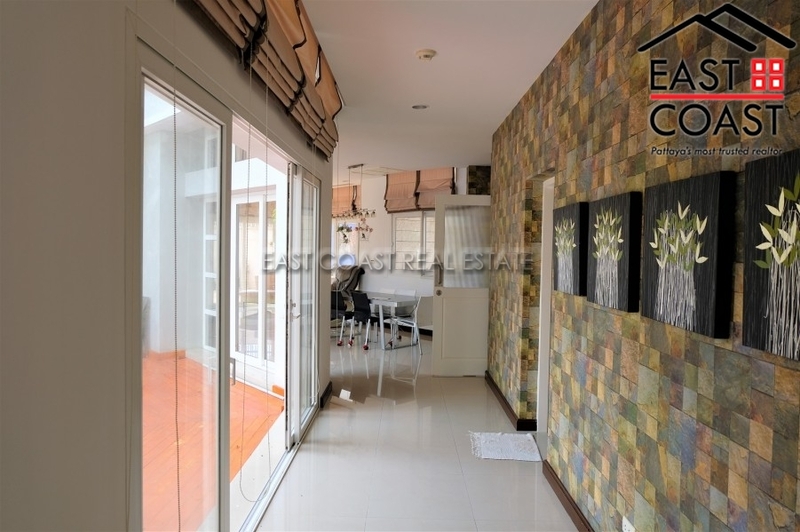 From this home you can walk down your own small private lane straight to the gorgeous Bang Saray beach. This wide stretch beach has clean golden sand, and amazing views of the skyline back to Pattaya, the quant fishing village, and the islands beyond. The owners of the property have a genuine reason for sale, and will be very sad to leave this home. It was purpose designed and built through European architects, and supervised construction. The floor plan for the home is very clever and makes complete sense!! Each room takes advantage of the huge private garden (2,200sq.m) from every window or door. 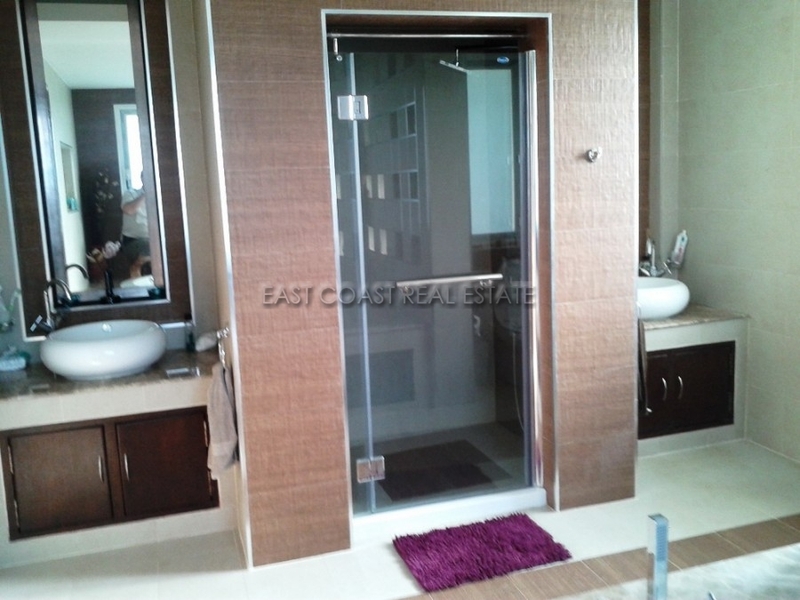 Constructed using high grade European standard materials this property oozes class and quality. 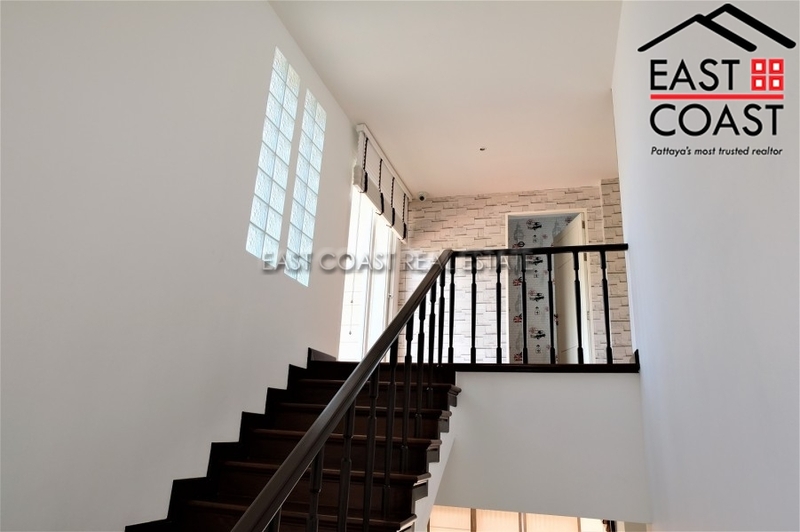 The lower floor encompasses 10 rooms · Open plan living room with full glass openings to the garden and pool · Study/Library and air conditioned wine cellar · Separate TV-Movie room · Master bedroom with separate walk in wardrobes and master en-suite bathroom with Jacuzzi tub. Full access to the gardens and pool · Dining room · Fully functional Western kitchen with masses of storage space and full access to the gardens and pool. 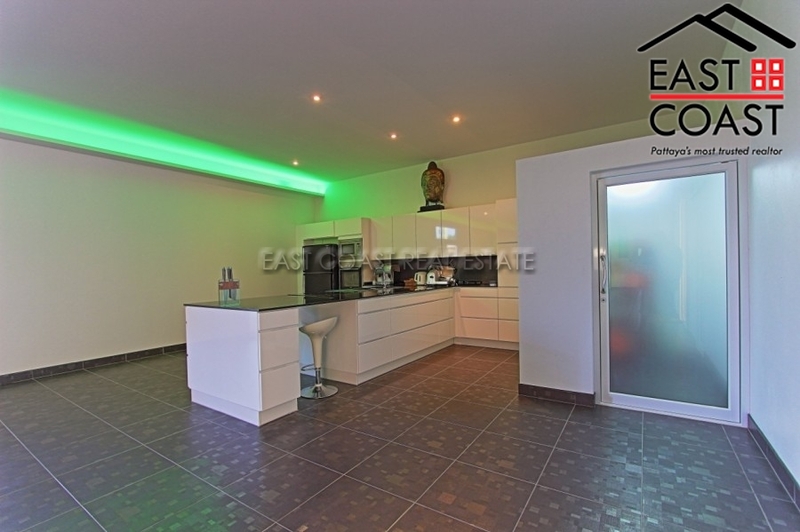 Excellent when entertaining guests · A full 2 bedroom maids quarters · A maids kitchen and laundry (again to European standards) · Workshop · Remote fully enclosed garage with electric doors The upper floor has been designed to be a self-contained area for the owners 2 children and their grandchildren. 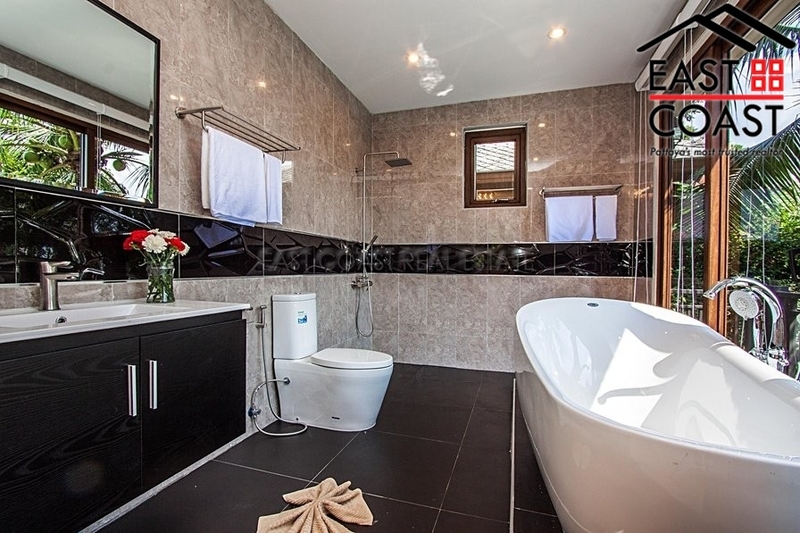 As you arrive onto the upper floor there is a large living space then a further 4 bedrooms and 2 en-suite bathrooms. 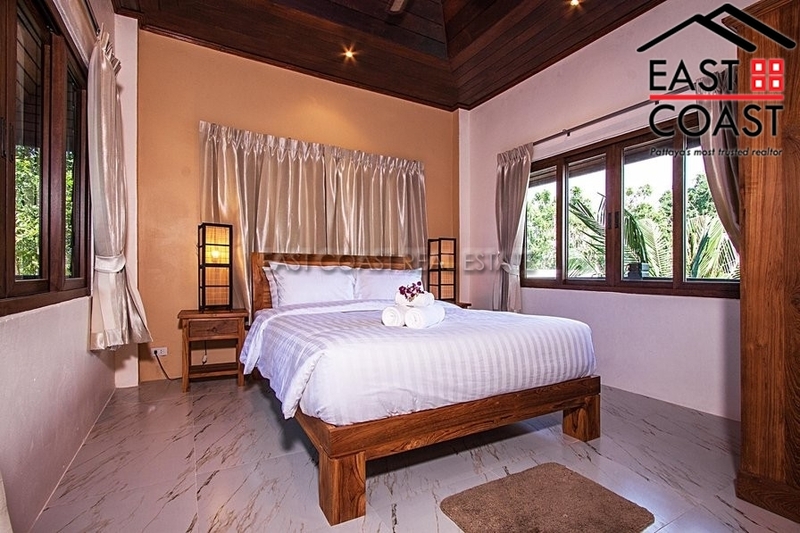 Each upper bedroom leads out onto a raised patio which enjoys the views of the gardens and pool, PLUS a glimpse at the sparkling ocean just a few hundred metres away. Within the large garden sits an enticing private lagoon pool with 2 separate Jacuzzi areas, a swimming section, and a children’s section. 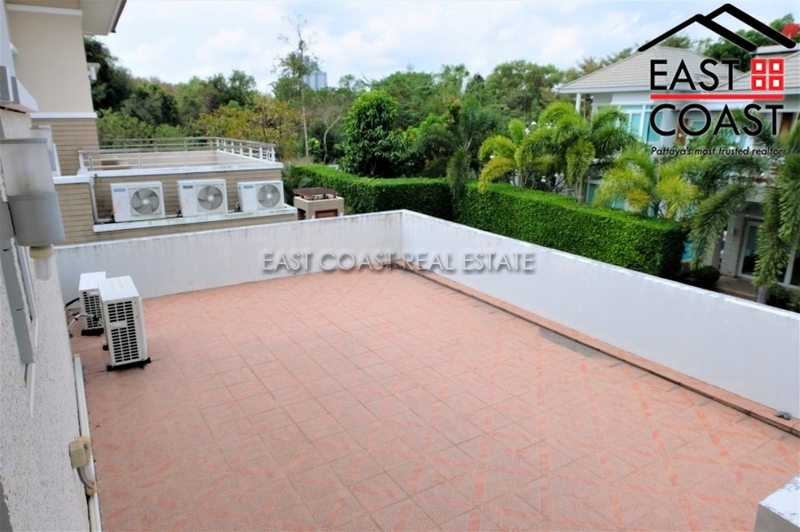 All surrounded by a wonderful outdoor living area with a kitchen area and bar, bathroom and shower. We hope that this has given you a taster to what you will expect regarding quality and lifestyle from this completely unique home. 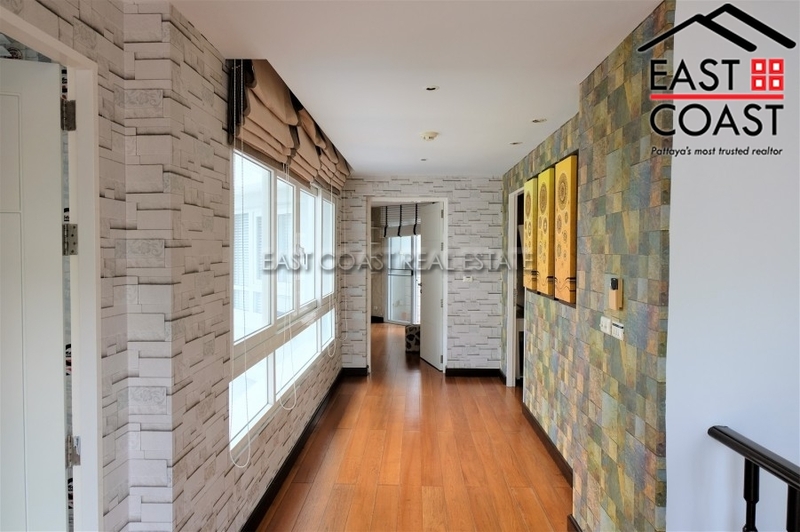 You will be very hard pushed to find a better home anywhere Viewings are very necessary to understand the thought and designs that make this home something very special indeed!! 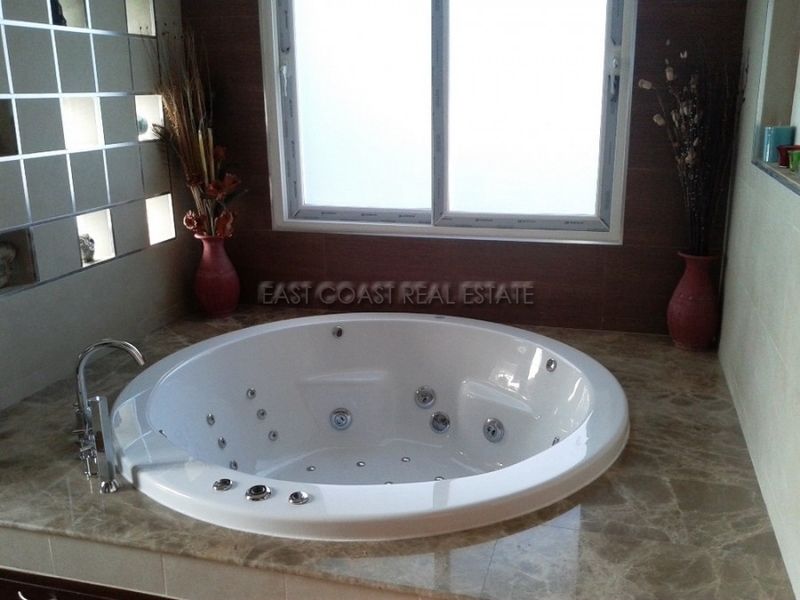 Viewings are available after qualification of ability to purchase only, and can be made with 48 hours. 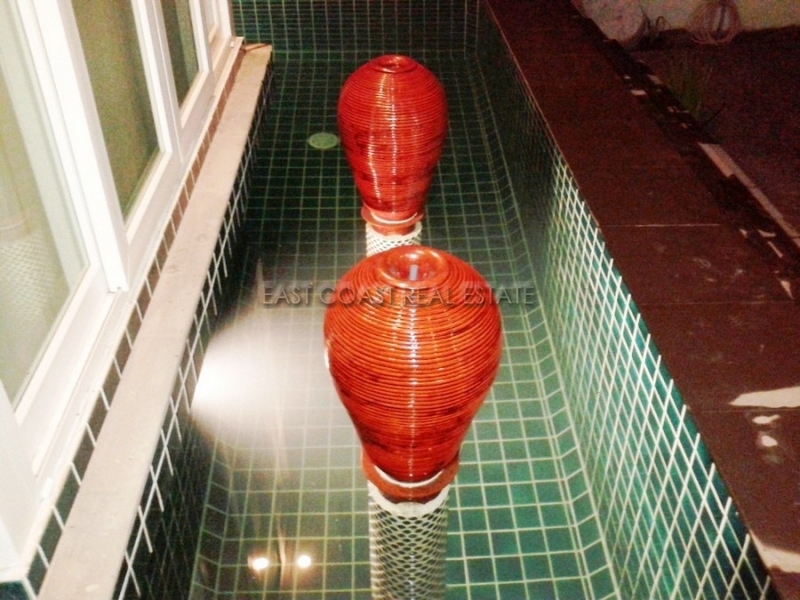 Owned within a Thai company, and included in the sale. 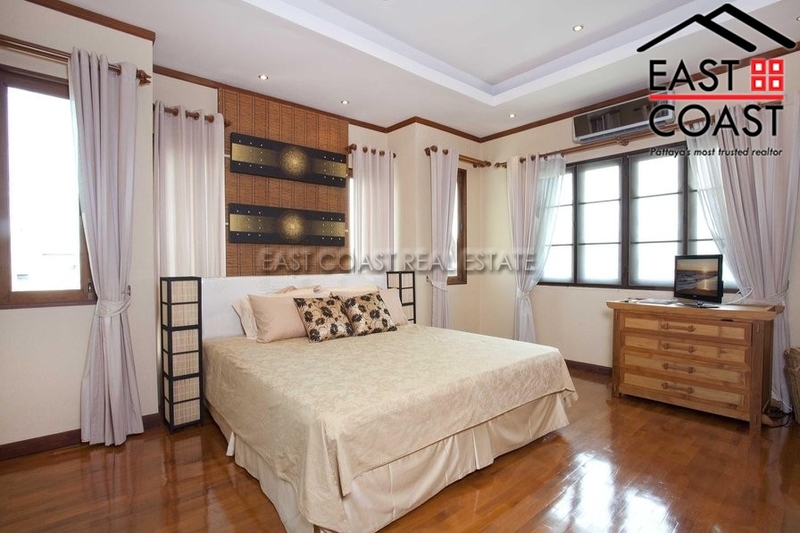 Bedrooms: 6 Bathrooms: 5 In Company Name Living area : 586 sqm. 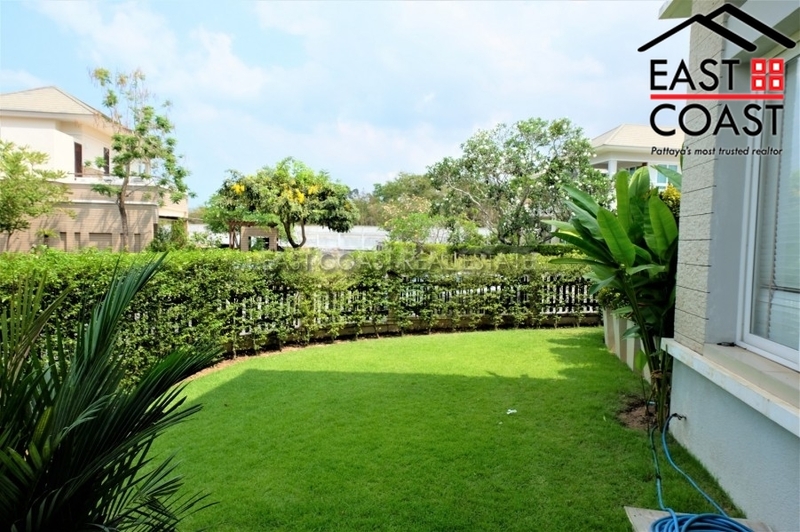 This beautifully presented house in South Jomtien is on a large plot of land and has a private pool and landscaped private garden. 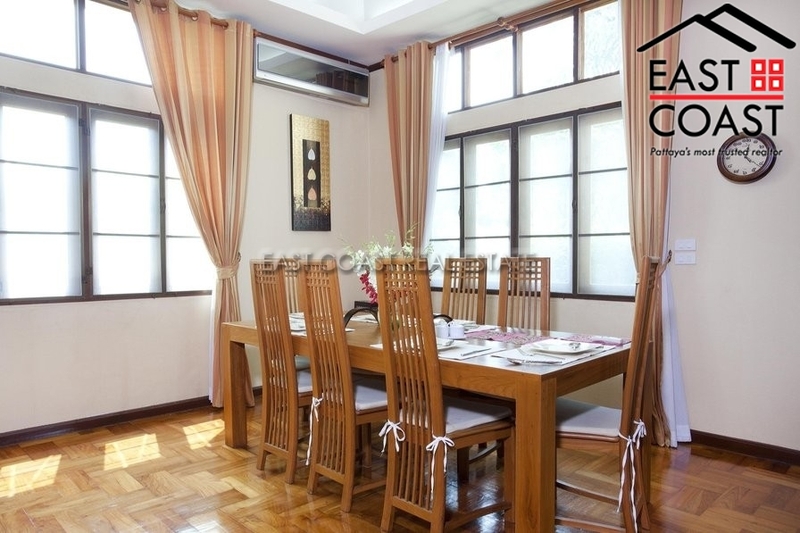 It comes fully furnished to a high-standard with a European kitchen and separate dining area. 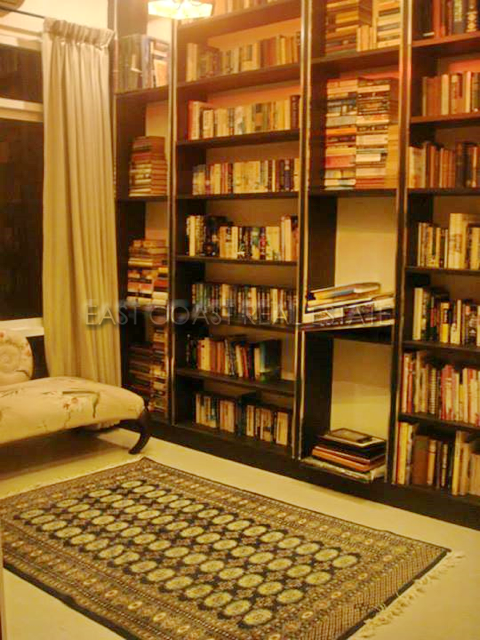 The interior design is both warm and neutral with a colour scheme that runs throughout the house. 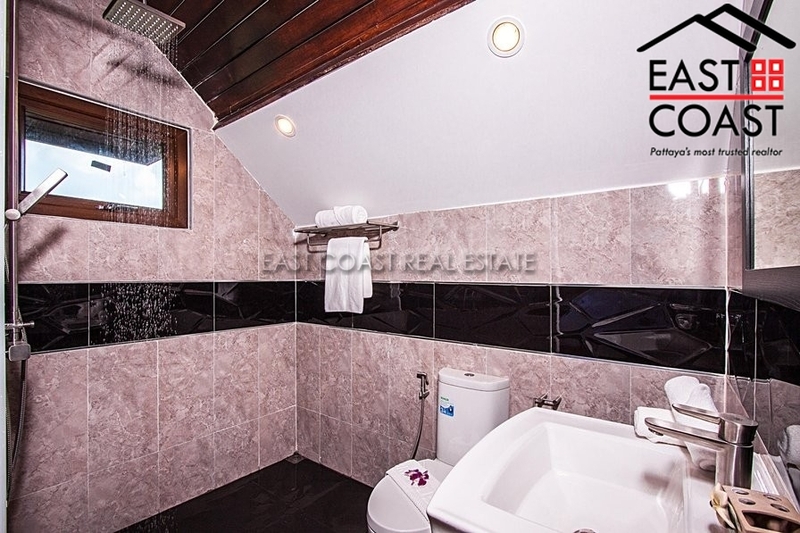 It is fully air-conditioned, with hot water in the bathrooms and an internet system already installed. The house is secured by an alarm system. 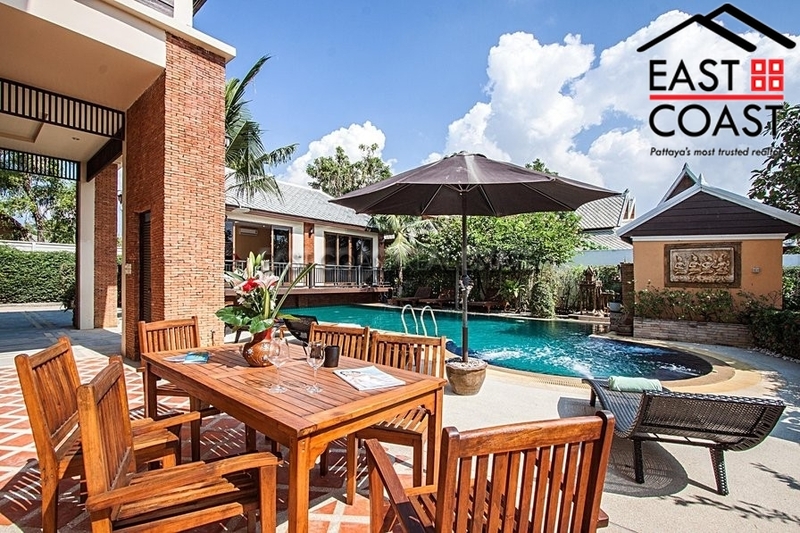 The house is situated within easy walking distance from one of Pattaya’s most stunning beaches, yet it is still only a 10-minute drive away from central Jomtien. There is also a school close by. 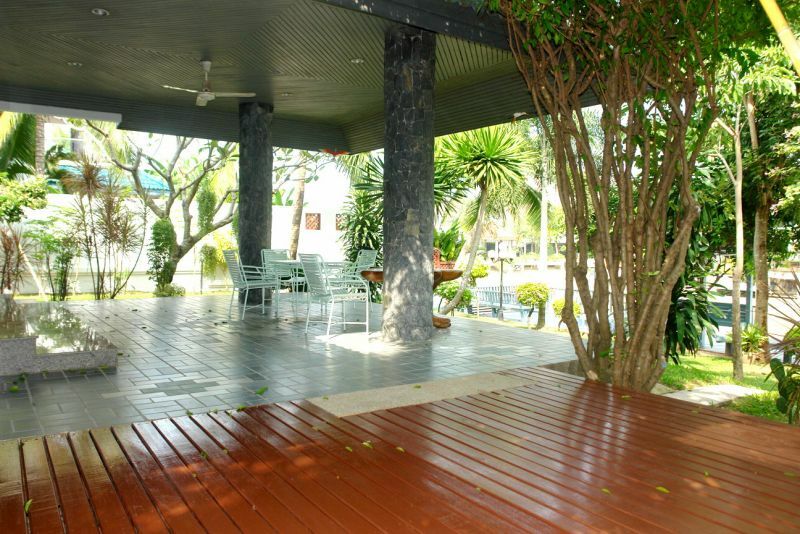 This house is being sold with with the title deeds held in Thai name. 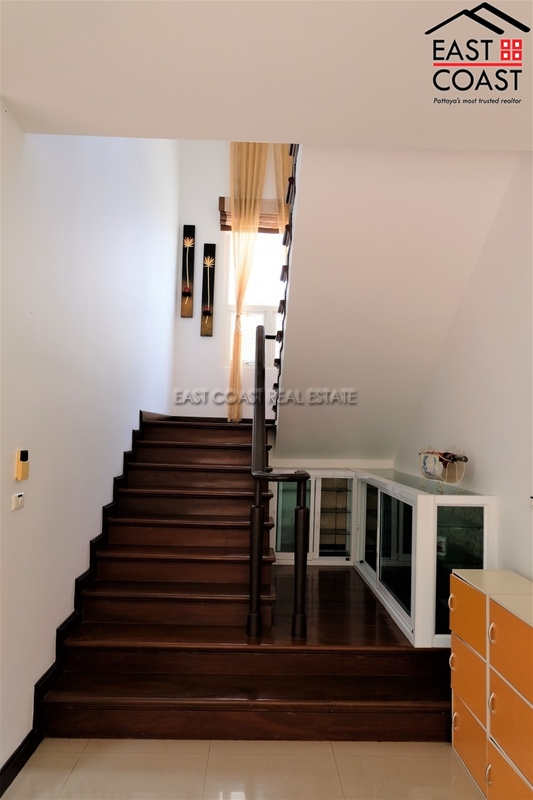 This 2 storey house on 400 Wah² of land has 5 large bedrooms, 4 luxury bathrooms, spacious living and dining area, European fitted kitchen, Thai kitchen and storage. 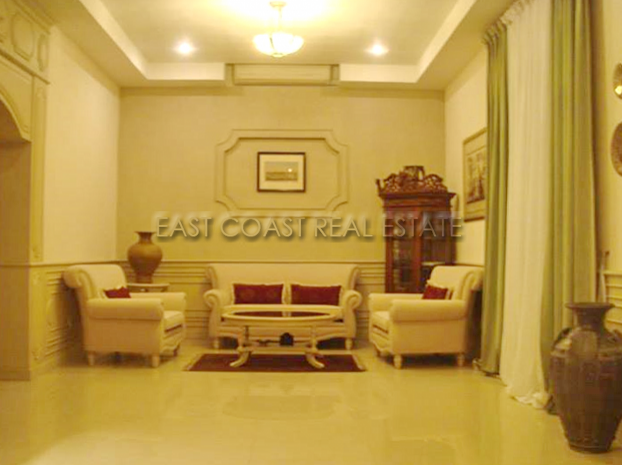 The internal living area is around 626 sqm. 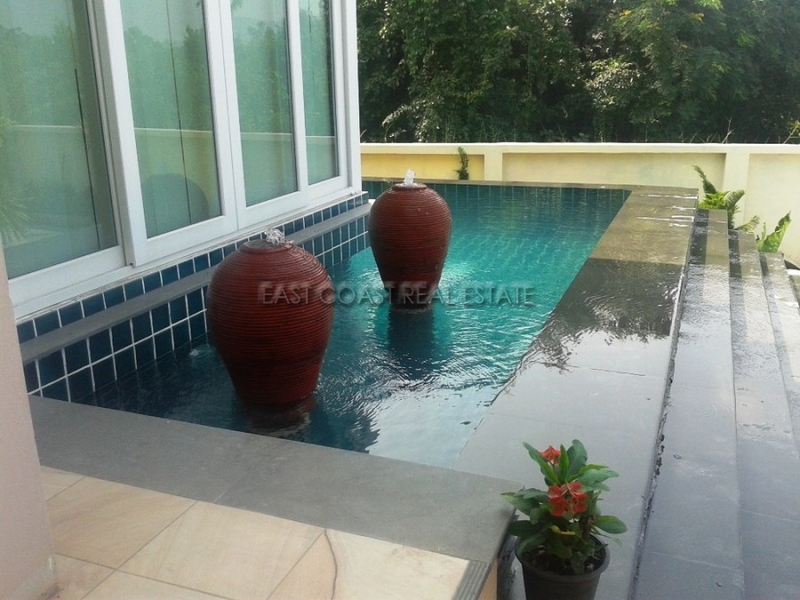 It a very nicely property with private garden and Private swimming pool. At the back of the house has a beautiful golf course view. 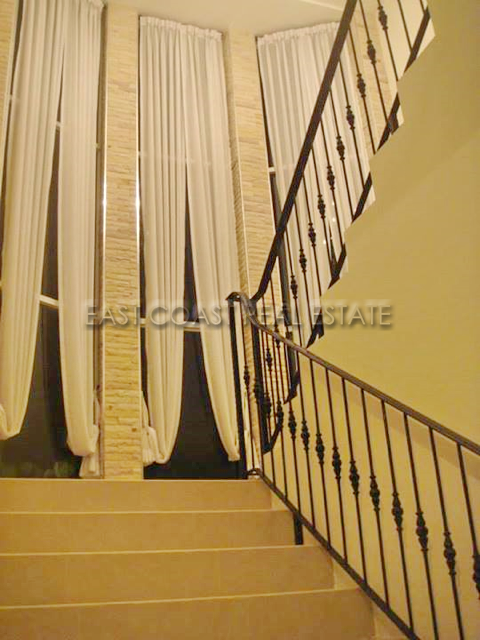 There is a large balcony upstairs where you can enjoy views of the golf course. Phoenix Golf Course provides 24-hour security, access to the club house and facilities such as driving range, tennis courts and restaurants. 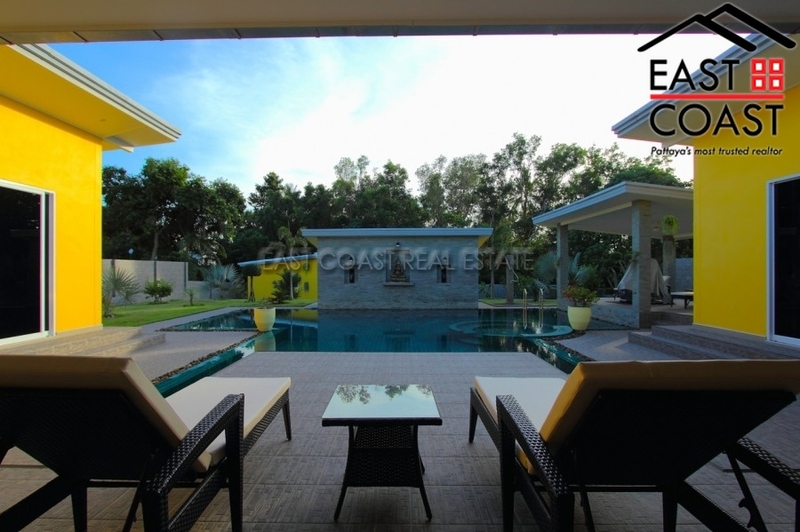 Phoenix Golf Course Luxury Villa approximately 20 minutes from downtown Pattaya, only minutes from shops, restaurants and Bang Saray beach. 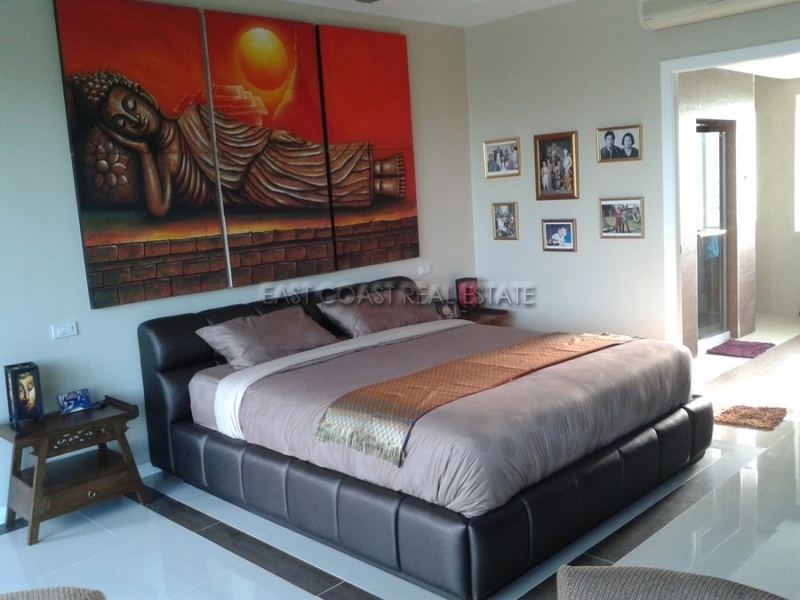 The home is for sale fully furnished and is held in a Thai name. Taxes and transfer will be split 50/50. Baan Talay - Bang Saray. 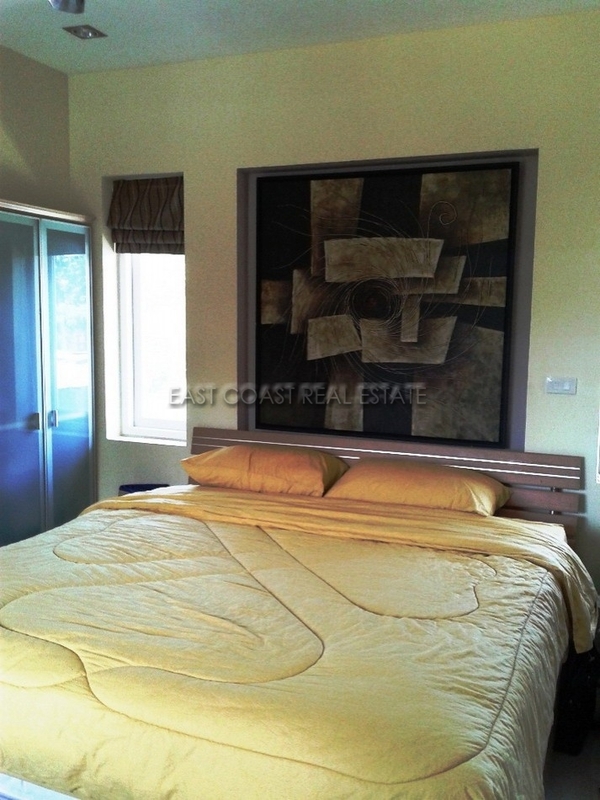 The Villa is set within an exclusive direct ocean front luxury community. Located between Na Jomtien and Pattaya, this area is where it’s all happening right now!!!! With 2 waterparks, 5 star hotels, easy and immediate access to 9 International golf courses, beachfront restaurants, and easy access to the Capital, and all surrounding Industrial hubs it has everything going for it. 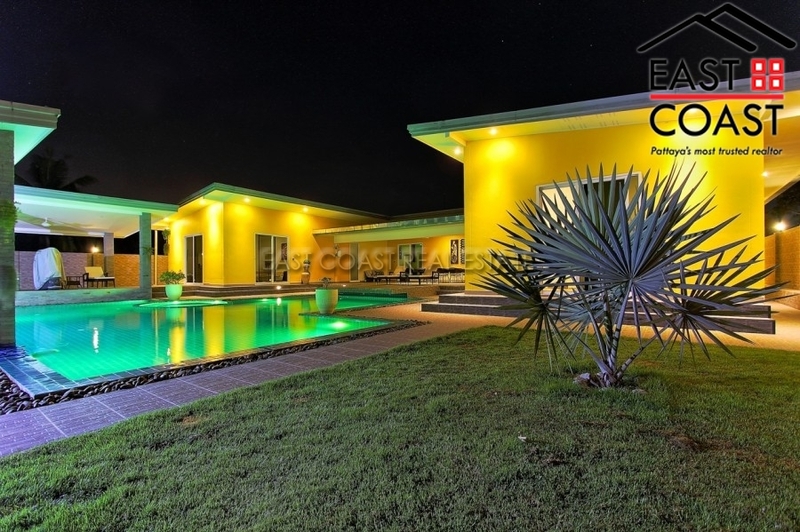 Unparalleled Villa with luxury and security: 4 Bedrooms, 5 Bathrooms, Living room with TV, Dining room, Private Pool, Enclosed Garage and Maid’s Quarters. The Villa has a fully-equipped. 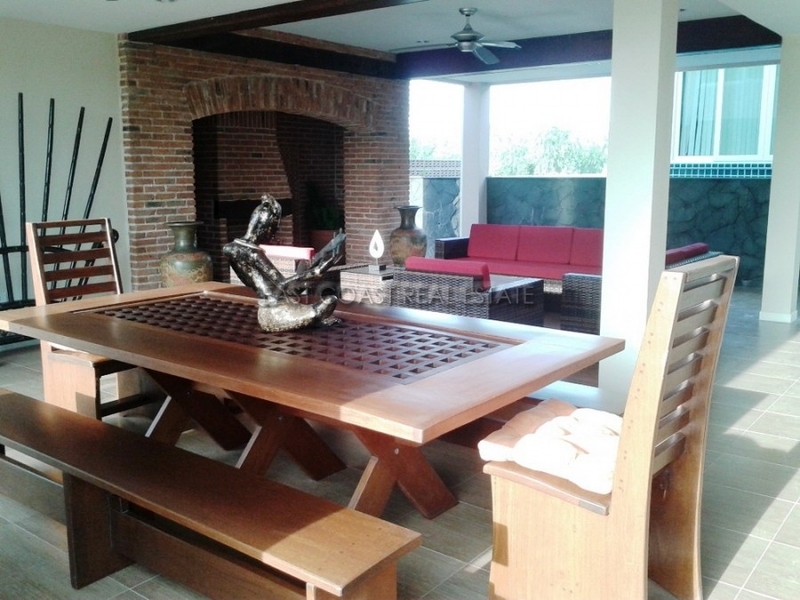 The Villa is furnished with the finest-quality furniture. Enjoy your morning coffee next to the Villa’s private pool just off the Dining room. 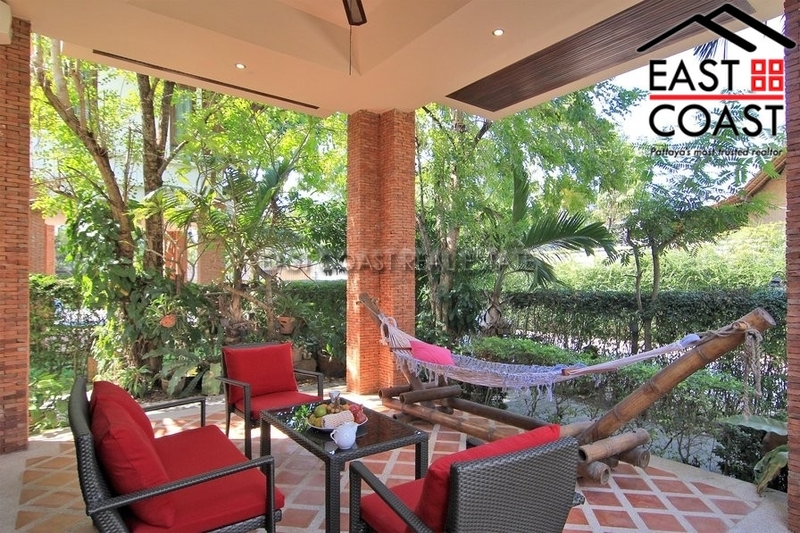 The property is professionally landscaped and maintained with a large variety of beautiful tropical plants, coconut palms, mango and other trees. You will love to have your morning coffee on the Villa’s private pool deck or in the garden swing amongst the sweet-fragranced tropical foliage. In the afternoon, you can enjoy tea or have your aperitif on either one of the two large, upper balconies enjoying the ocean view and a glorious sunset. The Clubhouse is a short walk from the villa, which sports a magnificently grand ocean view infinity swimming pool, modern gymnasium, ocean-front private beach, sauna, jacuzzi, pool table, and unforgettable views of the sunset. Other internationally-acclaimed resorts are a short beach walk away where you can also enjoy restaurants for lunch, dinner and beach-front cocktails. The place is idyllic and beautifully located! 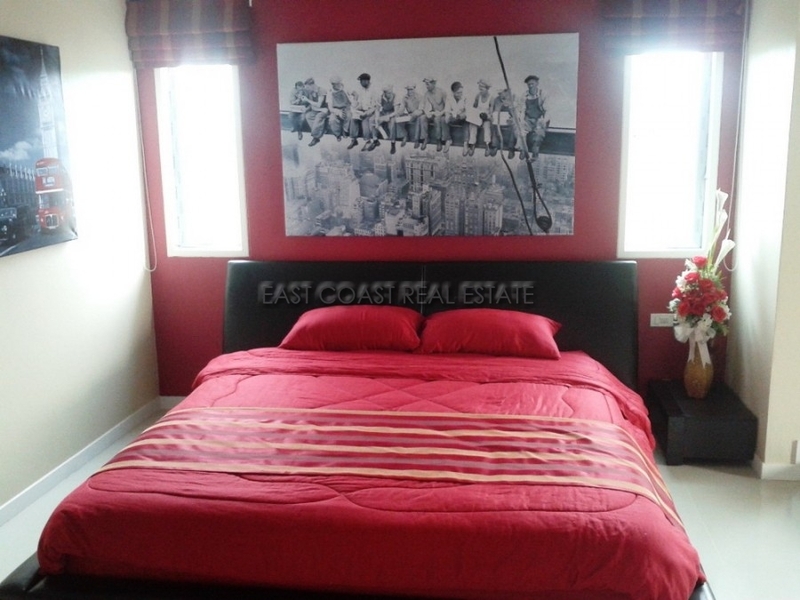 The title deed is held under a Thai name. 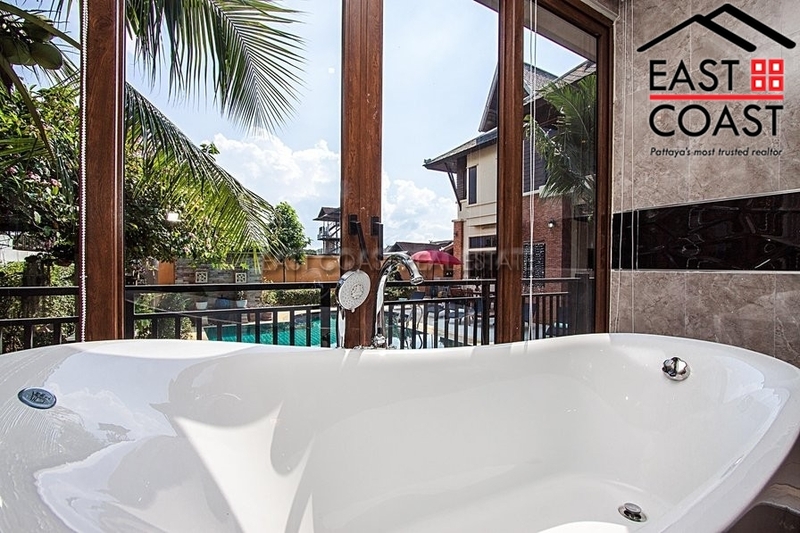 Beverly Thai House Pool Villa.This Ultra luxurious 5-bedroom, 5 bathroom estate features a 55-sqm private pool, garden with Thai-style pavilion. 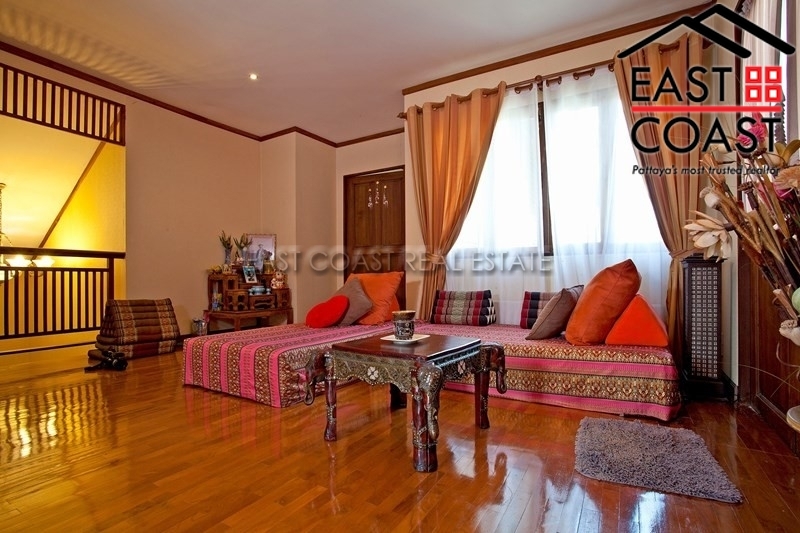 The living area features traditional Thai furnishings and decor, including a comfortable sofa set, a large flat-screen TV with surround sound system. There is a fully equipped indoor and outdoor kitchen so meals can be enjoyed inside at the 8-seat dining table or outdoors by the pool. All the bedrooms are air conditioned and come with a TV. 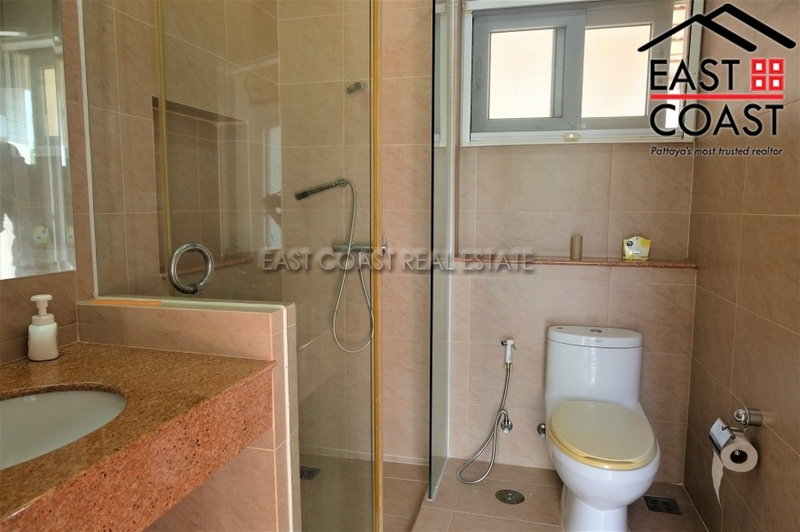 The bathrooms are fitted with a bath or shower. 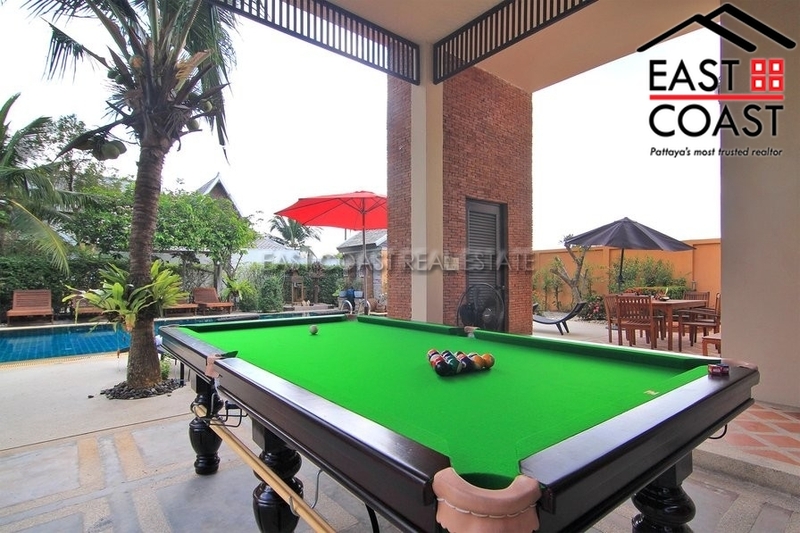 Relax on the sun loungers by the pool or enjoy a game of billiards by the outdoor barbecue grill and seating area, great for family get-togethers or entertaining friends. 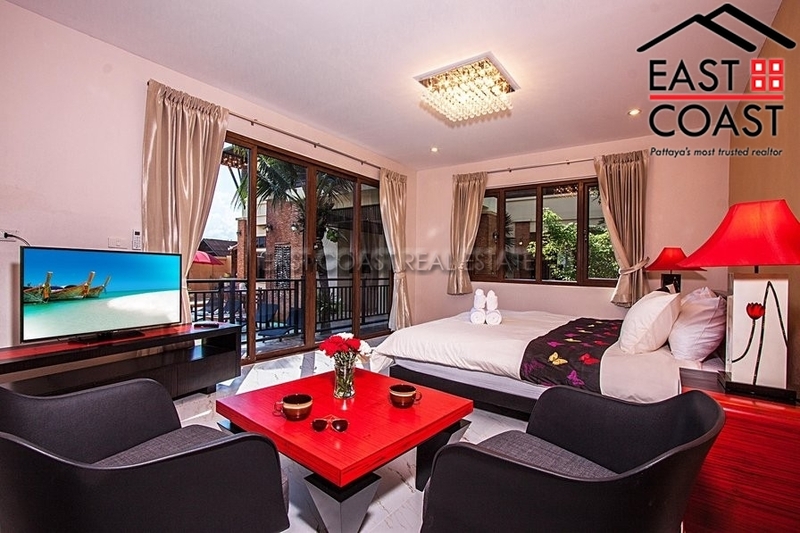 Located behind the famous Pattaya Flotating Market on Sukhumvit rd in South Pattaya, the villa is only a short drive to Jomtien Beach and Pattaya. 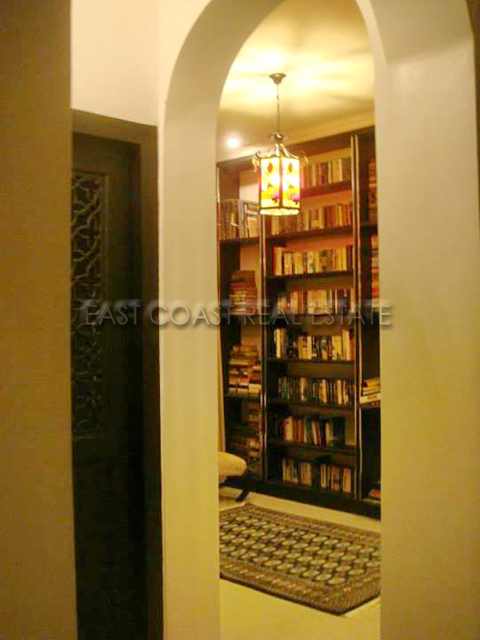 This is a Very special property and must be seen to be appreciated. Call or email us today for a viewing. Baan Talay - Bang Saray. 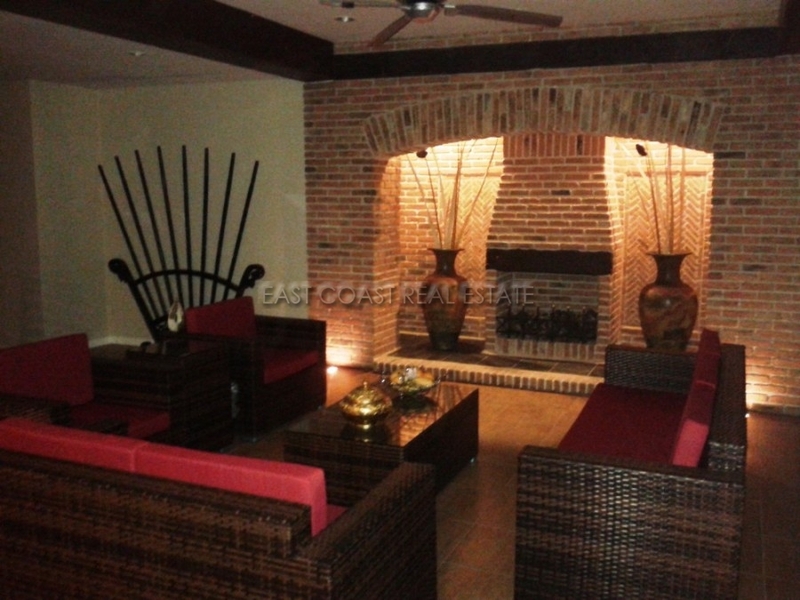 The Villa is set within an exclusive direct ocean front luxury community. Located between Na Jomtien and Pattaya, this area is where it’s all happening right now!!!! With 2 waterparks, 5 star hotels, easy and immediate access to 9 International golf courses, beachfront restaurants, and easy access to the Capital, and all surrounding Industrial hubs it has everything going for it. 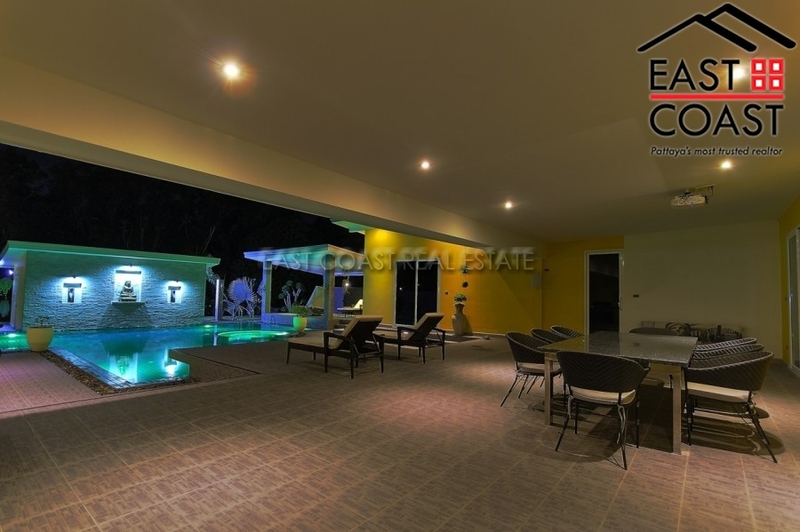 Unparalleled Villa with luxury and security: 3 Bedrooms, 5 Bathrooms, Living room with TV, Dining room, Private Pool, Enclosed Garage and Maid’s Quarters. 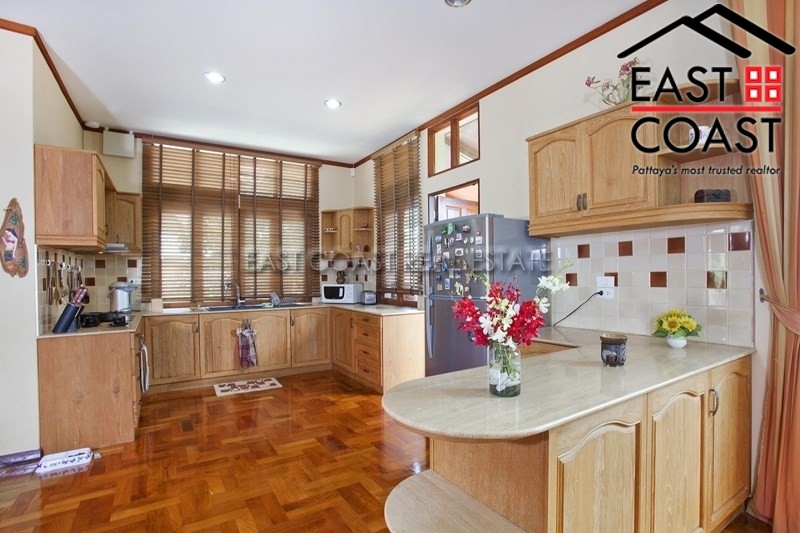 The Villa has a fully-equipped, modern kitchen with stainless steel appliances, marble countertops and teak cabinets. 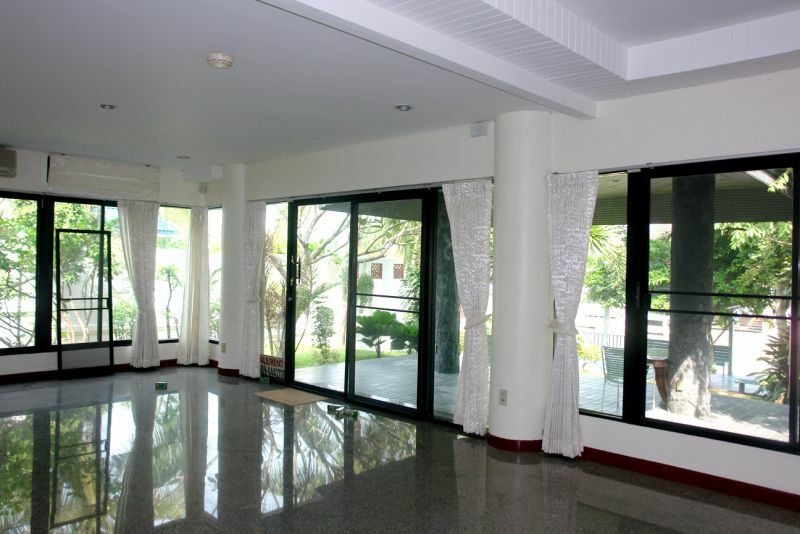 The Villa is furnished with the finest-quality furniture, beds, linens, towels and HD TV. Enjoy your morning coffee next to the Villa’s private pool just off the Dining room. 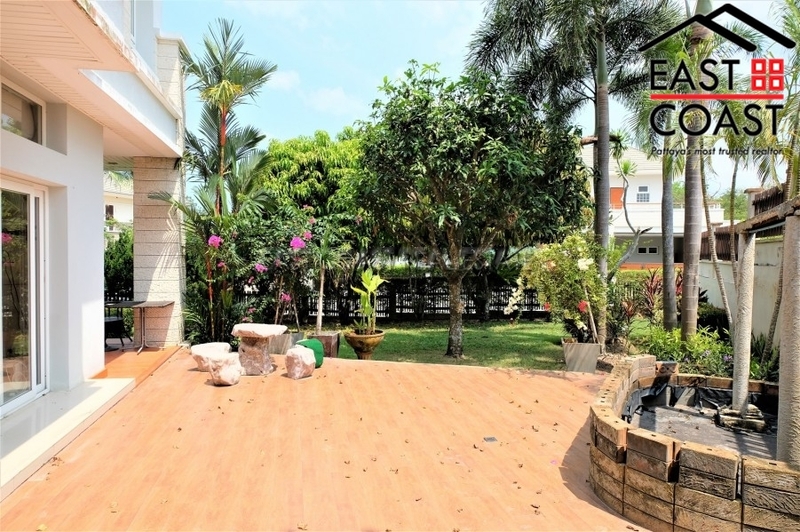 The property is professionally landscaped and maintained with a large variety of beautiful tropical plants, coconut palms, mango and other trees. You will love to have your morning coffee on the Villa’s private pool deck or in the garden swing amongst the sweet-fragranced tropical foliage. In the afternoon, you can enjoy tea or have your aperitif on either one of the two large, upper balconies enjoying the ocean view and a glorious sunset. The Clubhouse is a short walk from the villa, which sports a magnificently grand ocean view infinity swimming pool, modern gymnasium, ocean-front private beach, sauna, jacuzzi, pool table, and unforgettable views of the sunset. Other internationally-acclaimed resorts are a short beach walk away where you can also enjoy restaurants for lunch, dinner and beach-front cocktails. The place is idyllic and beautifully located! 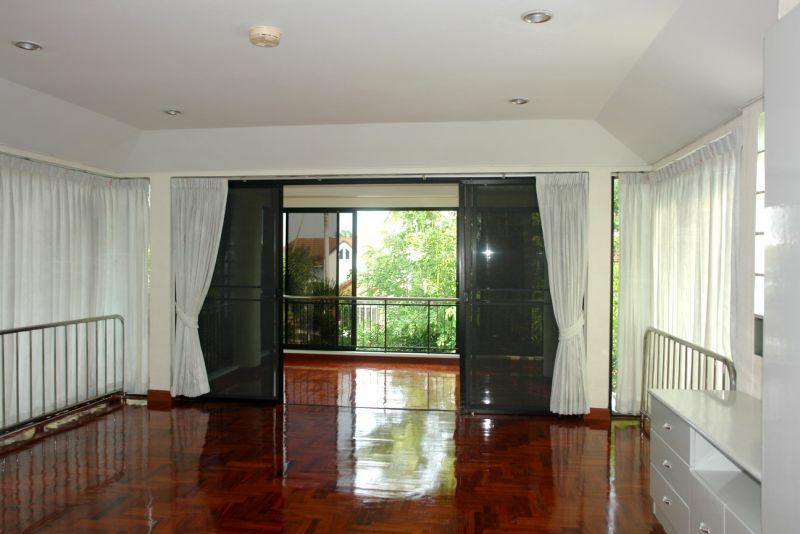 The title deed is held under a Thai Company name, so very minimal fees to take over the property. View Talay Marina. 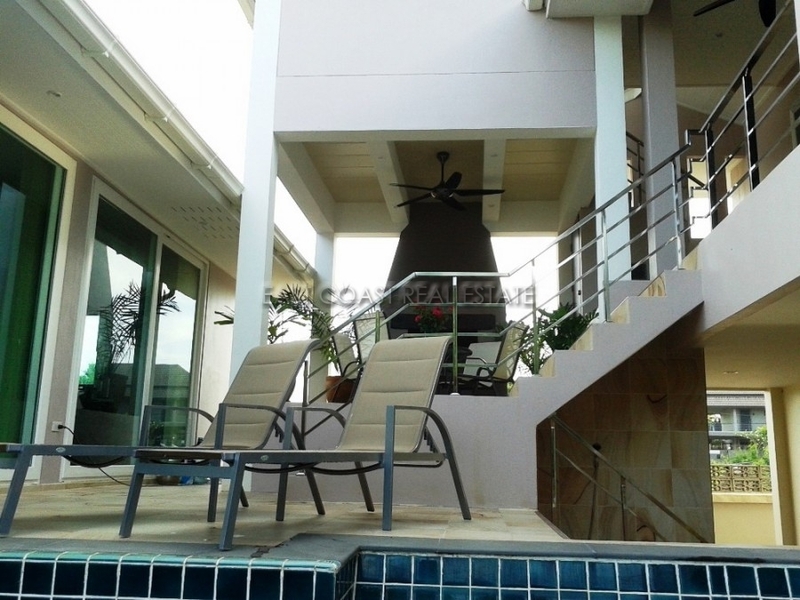 This exclusive village is located in an area called Na Jomtien, just South of Jomtien Beach. It is a nice quiet location with plenty of local amenities, plus it’s possible for a short walk to a lovely sandy beach. 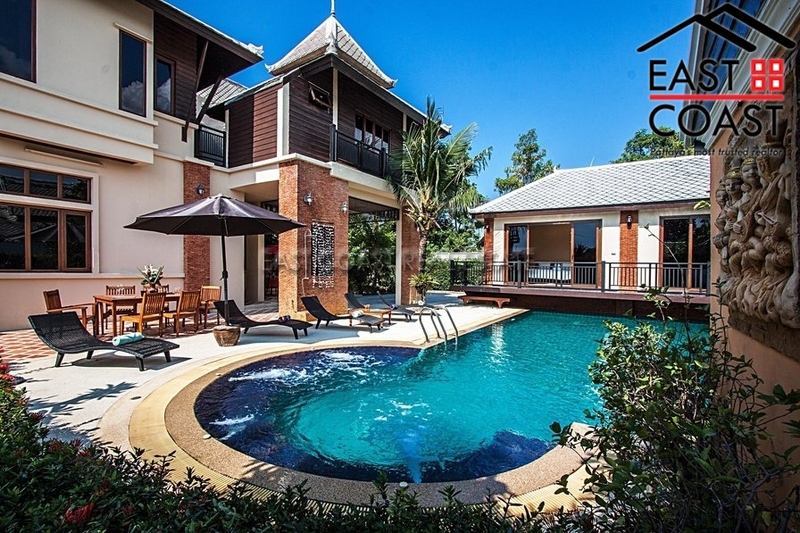 This luxury 2 storey home is set within a stunning tropical landscape with a vast selection of plants, and trees to create a peaceful paradise to relax, and unwind. There is an amazing outdoor area creating natural shade, and big enough for dining and entertaining around the private swimming pool and waterfalls. 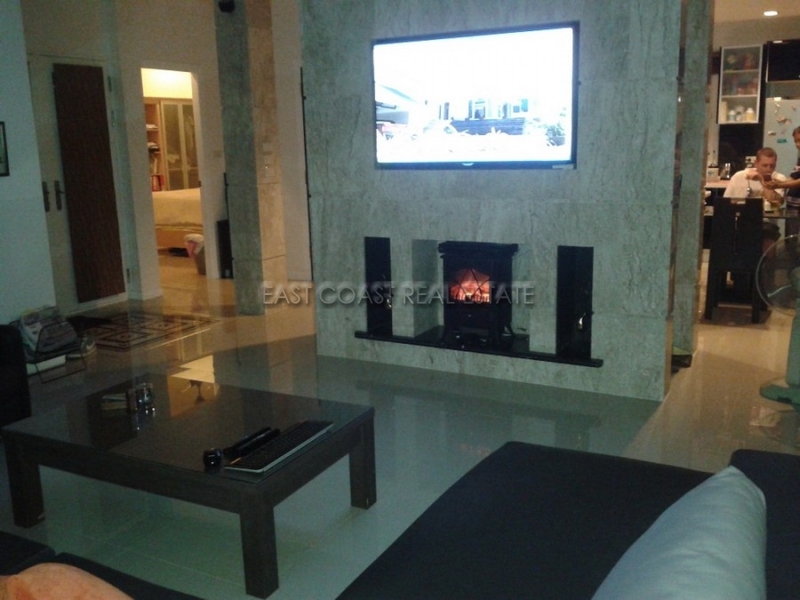 This house has been built and finished to very high luxury standards, with natural hard wood flooring, a good choice of ceramics, high ceilings, all en-suite bathrooms, and even an outdoor rain showers, all executed with quality workmanship. The village has attentive 24 hour security for peace of mind, and they regularly patrol the landscaped village on foot. This exclusive village also offers private mooring for any owners’ boats, yachts, or other water craft plus a club house and communal swimming pool are also provided. The 3 bedroom house really does need to be seen to be appreciated. 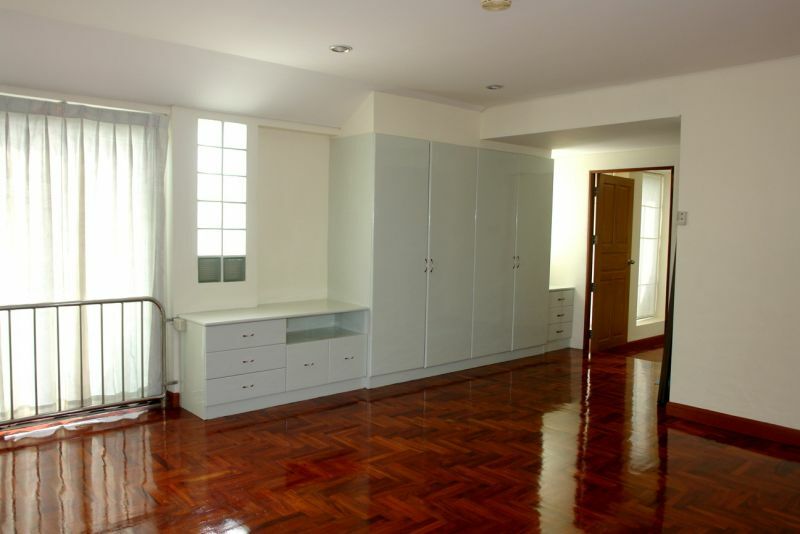 Sold (or rented) fully furnished, with air conditioning throughout an excellent European kitchen, plus all appliances. Cable TV, and high speed internet are also connected. 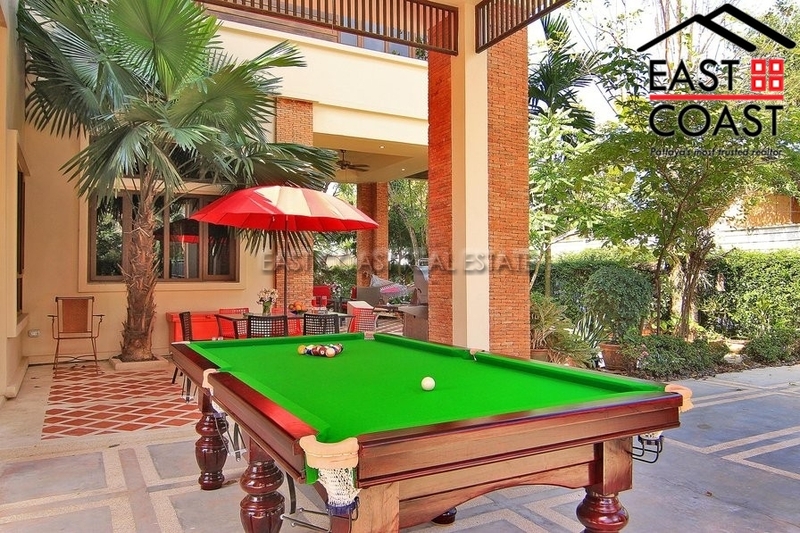 The property is held in a Thai Company name. 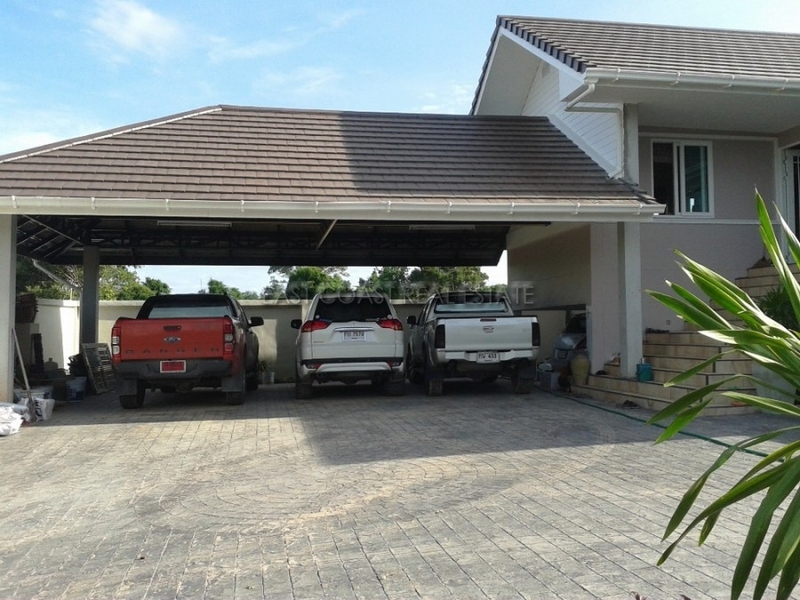 Rental is only with a full 1 year contract at 100,000 Baht pr month. Jomtien Yacht Club 3. 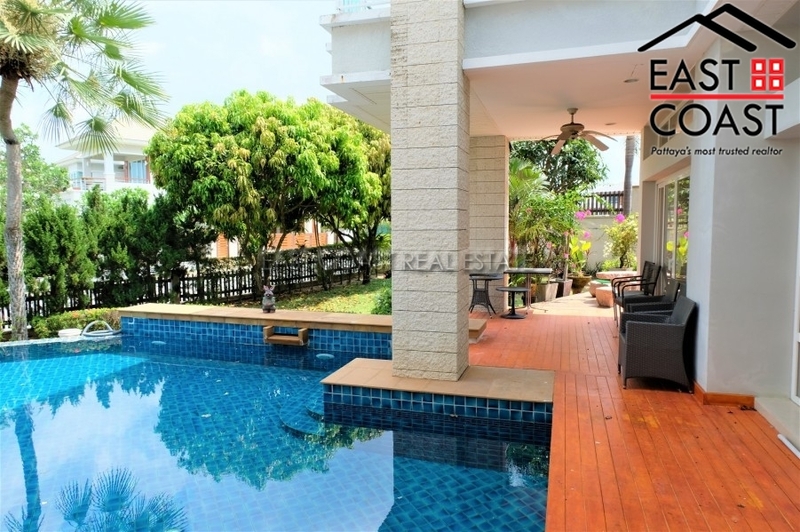 Located on just south of the beautiful Jomtien beach, yet only 150 kilometers from Bangkok, a short drive away from the new Bangkok International Airport and the Eastern Seaboard and just 10 minutes from excitement of Pattaya. This house is set in a village where each house has it own seaport. A nice garden with beautiful tropical flowers and trees make a very nice atmosphere. 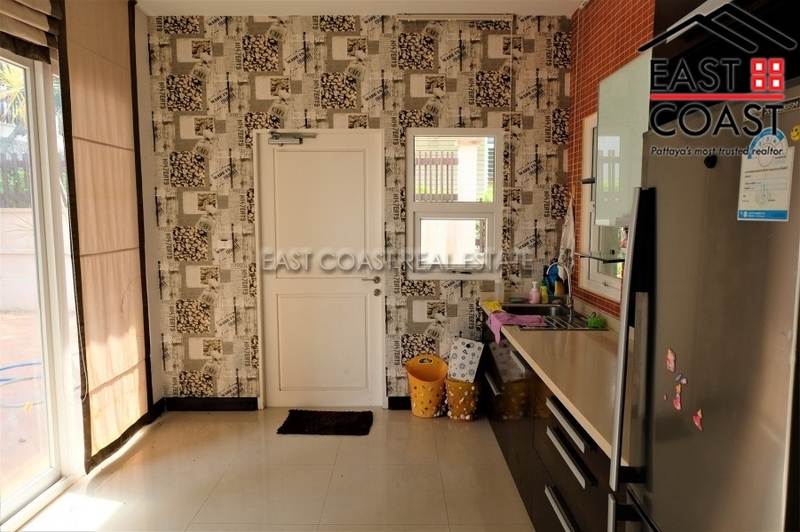 The house is sold or rented with fitted kitchen, built-in wardrobes, full air conditioning. 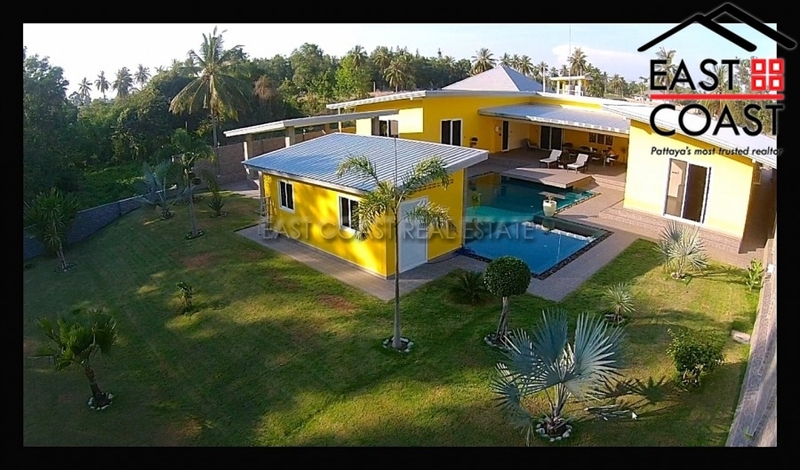 Available for rent on long term basis only and for sale until Thai name ownership. 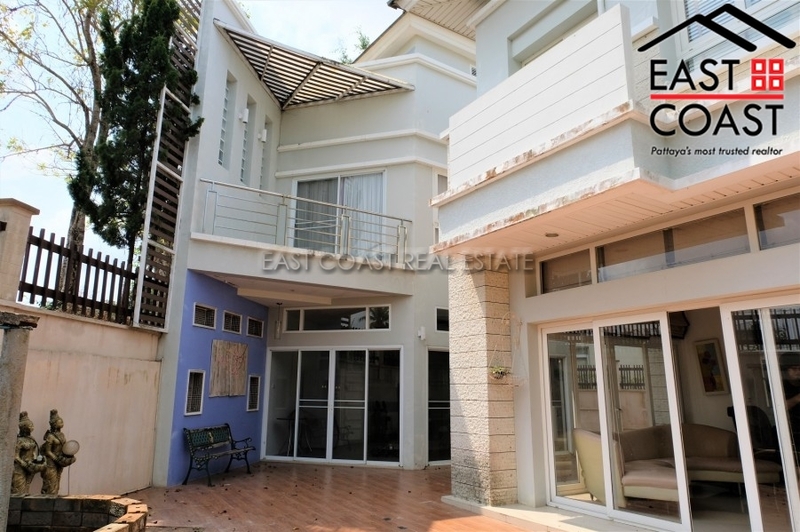 Beach House Bangsaray. 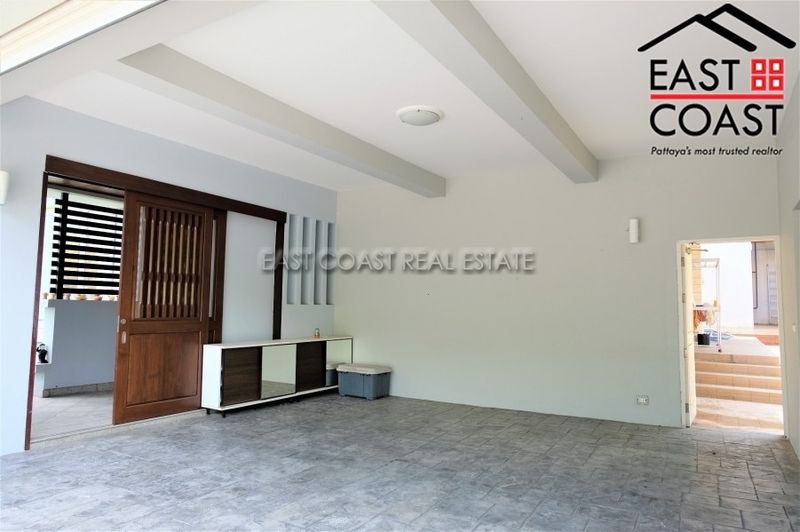 This house is a great choice for someone who wishes to buy a family home with private swimming pool and large surrounding land area and only 150 meters from the Beach. 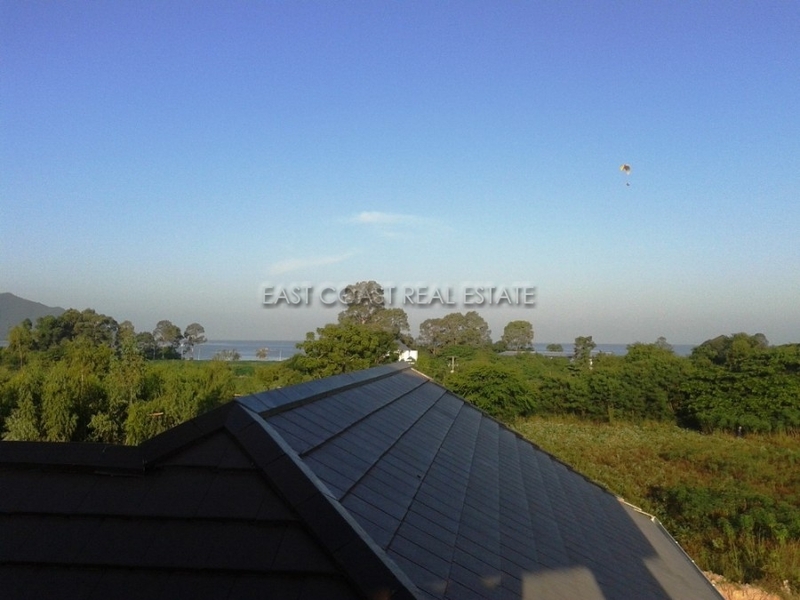 The total land area of the property for sale is 220 sq.w., 300 sq.m. 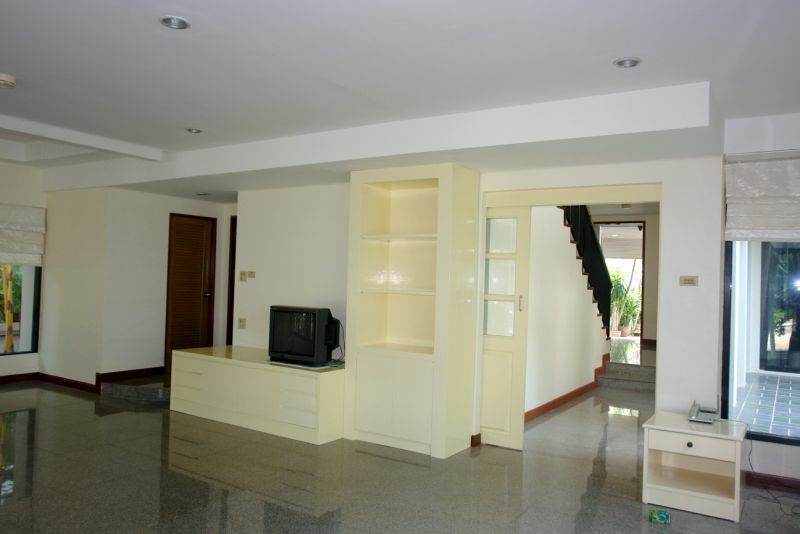 for living area with 4 bedrooms, 5 bathrooms and a big garden with large private swimming pool. 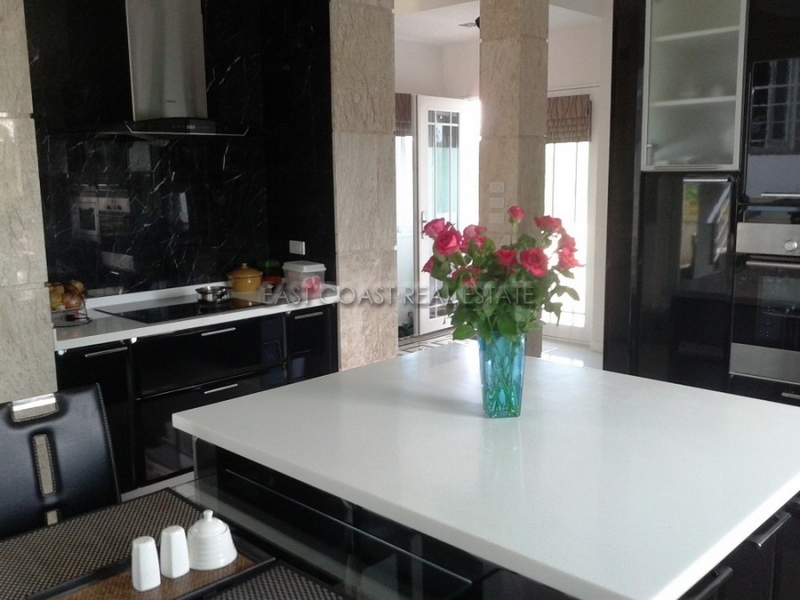 Sold fully furnished with air conditioning throughout and excellent European kitchens. 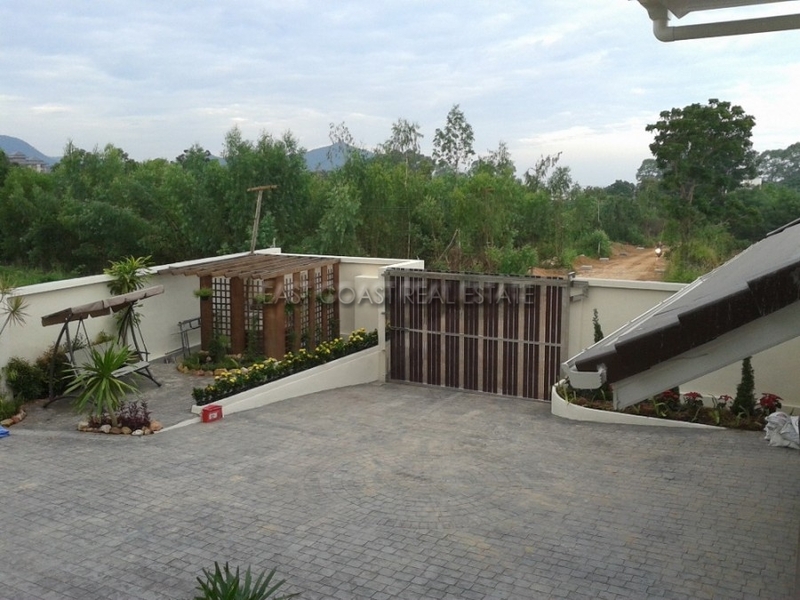 The home is held in Thai name ownership with taxes and transfer fees split 50/50. Phoenix Golf Course. 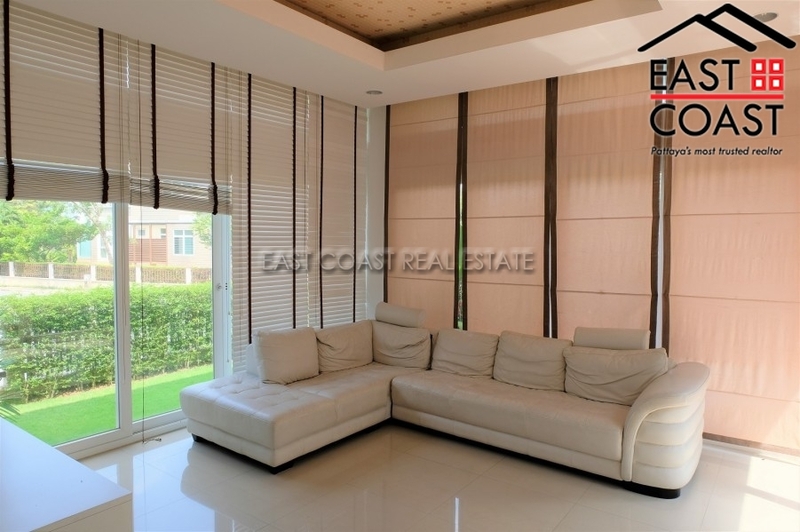 This grand 5 bedroom villa is located on one of the best golf courses in the region. Phoenix Gold golf and country club has been undergoing a complete transformation since the new Bangkok owners took over the course in 2014. Lots of care has been made for all the surrounding areas as well as the golf course itself, and all this benefits the co-owners as much as the golfers that stroll the fairways each day. 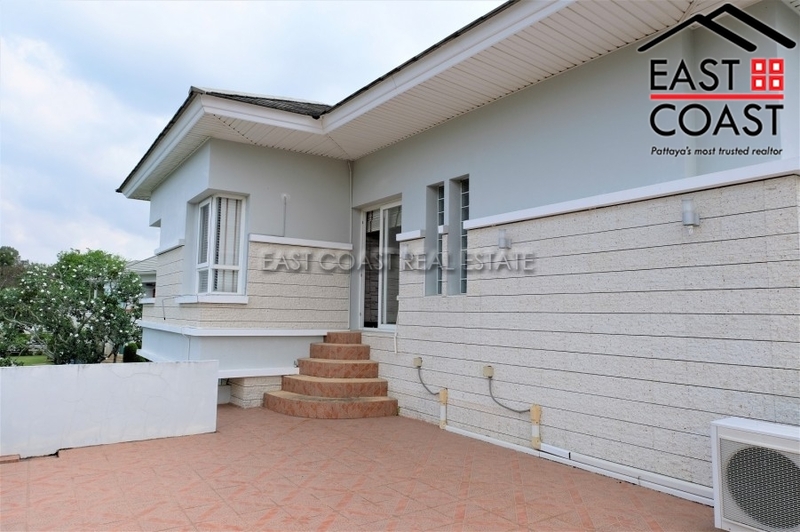 This 2 storey home on 1 rai of land has a spacious entrance with plenty of off road parking. 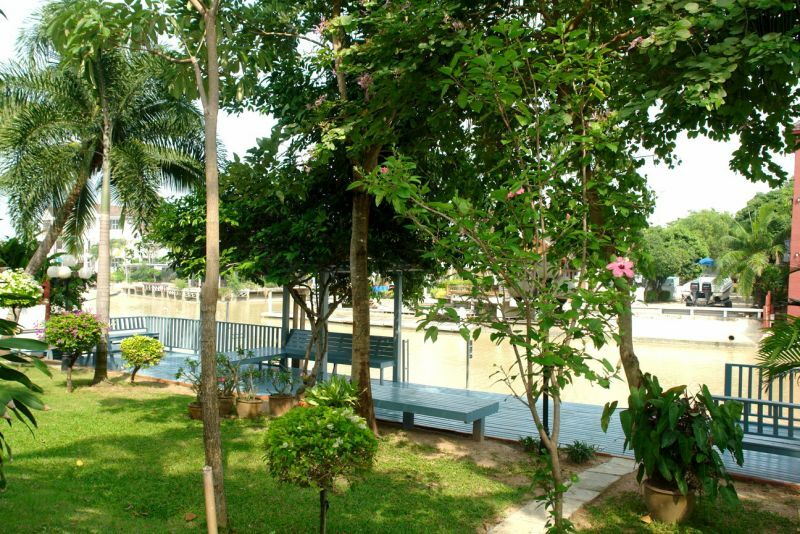 At the back of the house is a beautiful large private pool and garden which leads onto a lake. 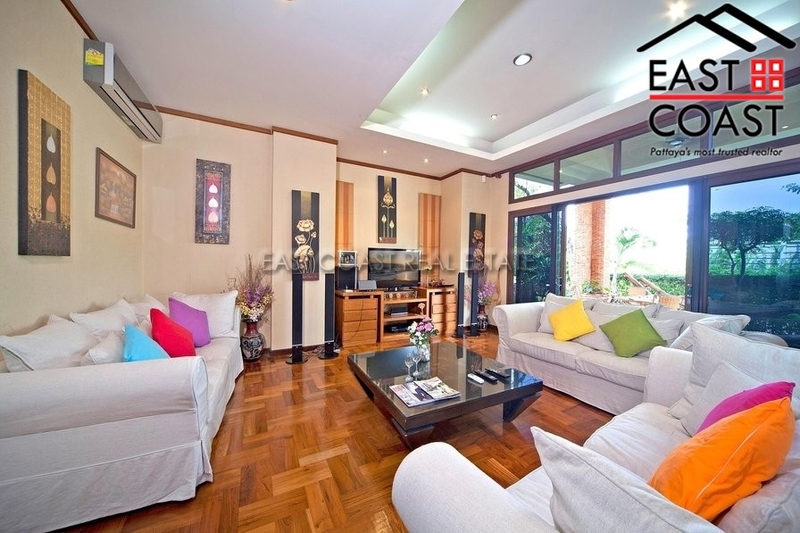 The house with has a huge 600sqm living area, features 5 en-suite bedrooms all with plenty of storage space. 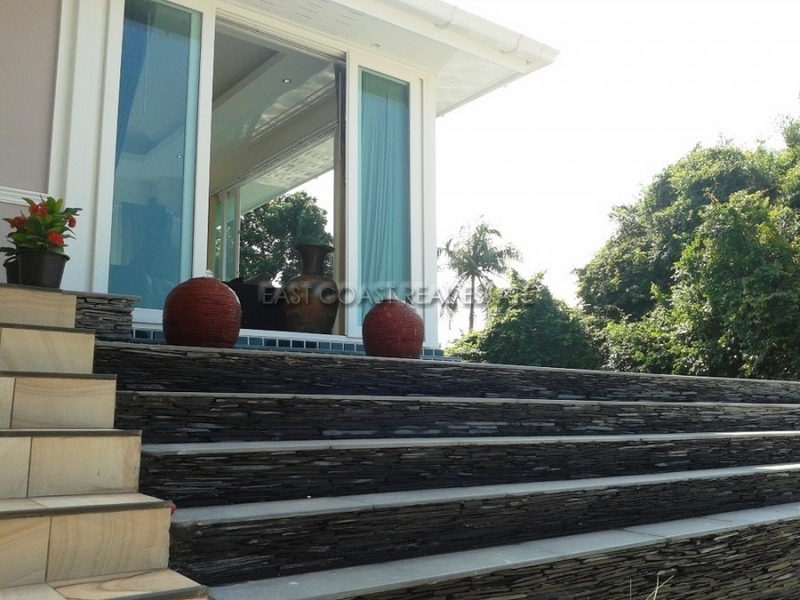 There is a balcony upstairs where you can enjoy views of the lake, gold course and Buddha Mountain. In addition there is a separate self-contained maids quarters. 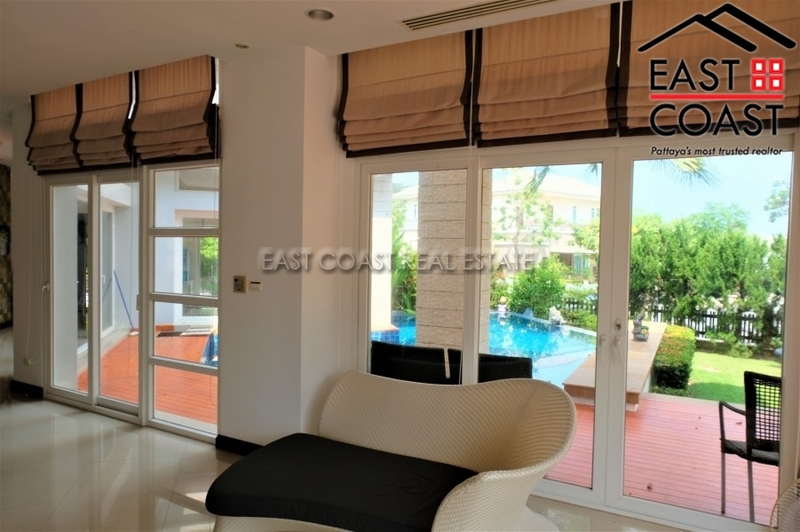 As the home is located within the golf course grounds, each owner has use of the gigantic communal swimming pool, tennis courts and the club house with its panoramic restaurant and bar. There is also a CCTV system throughout the golf course perimeter and many patrolling security guards day & night. 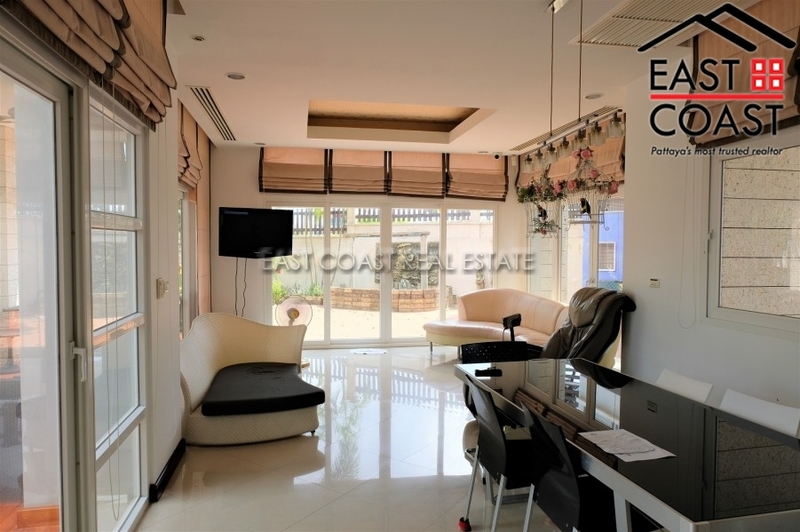 This home really is a perfect choice for those who wish to escape from the city and be surrounded by peace and nature and yet security. 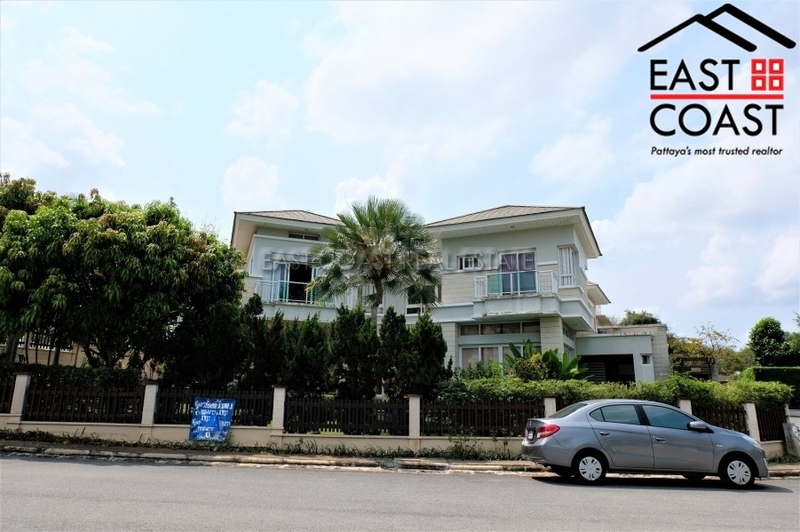 It is owned within a Thai Company which is included in the sale of the property. Would make a great rental investment home, either for short term golfing holiday rentals or long term corporate clients. 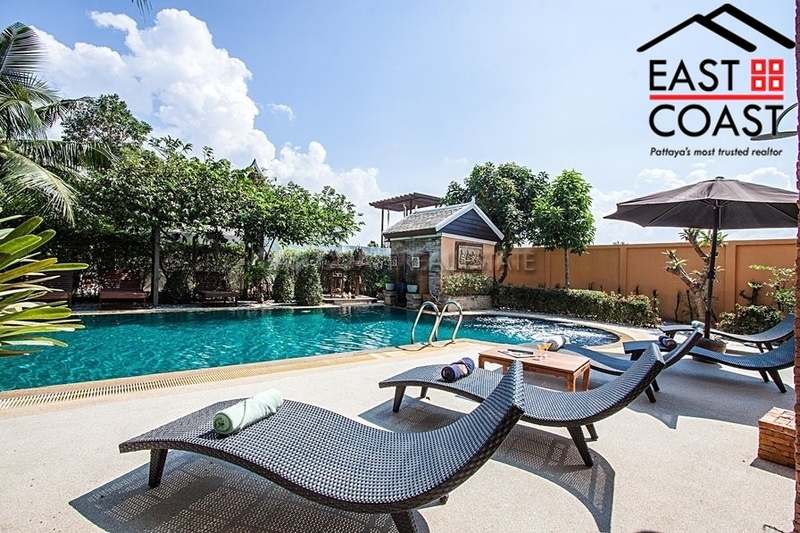 Available (including swimming pool & garden maintenence) at 85,000 Baht per month on a long term contract with a 2 month security deposit. Swiss Villa. 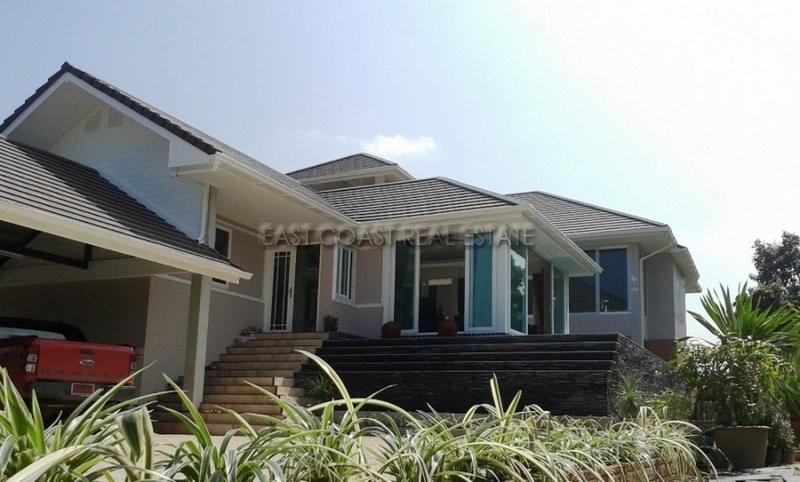 This luxury home has been designed and supervised in every step by a Swiss construction engineer. The use of high quality materials, the high end finishings and the unusual costly foundation will make this house last for many many years. 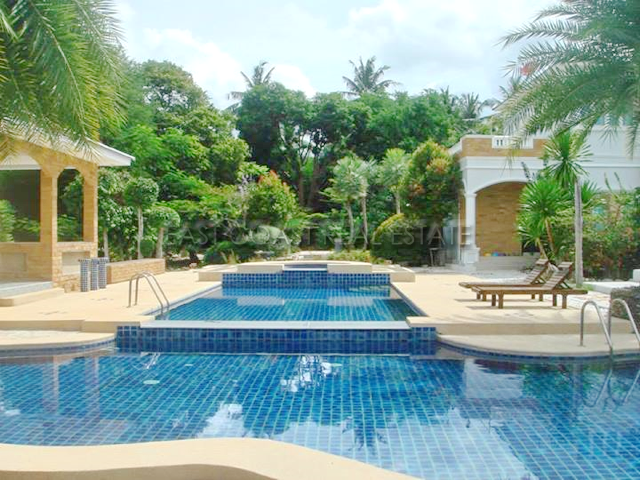 The U-shaped property creates full privacy to the whole pool area, terrace and lovely mature gardens. 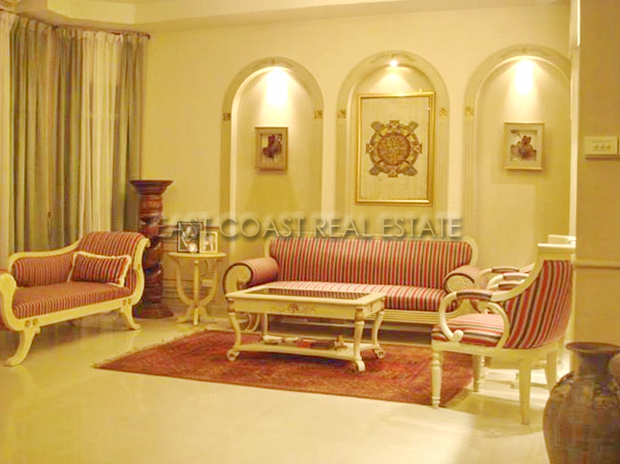 The land size is 1 Rai (1,600sq.m) and the house is roughly 650sq.m. At the bottom of the garden there is a guest house, or maids quarters. 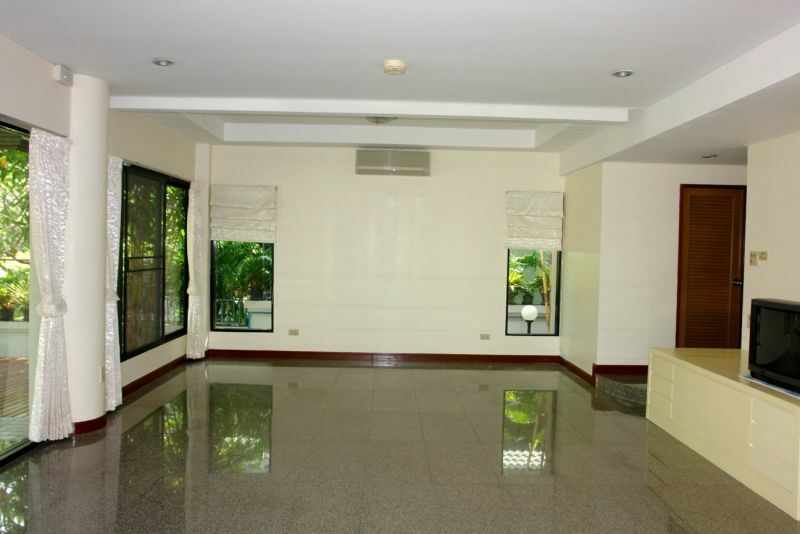 The large rooms offer a great feeling of space. The modern architecture is supported by the Eco LED lighting systems, all operated via a wireless network that can even control music in the different rooms, the waterfall, Jacuzzi and pool lighting. 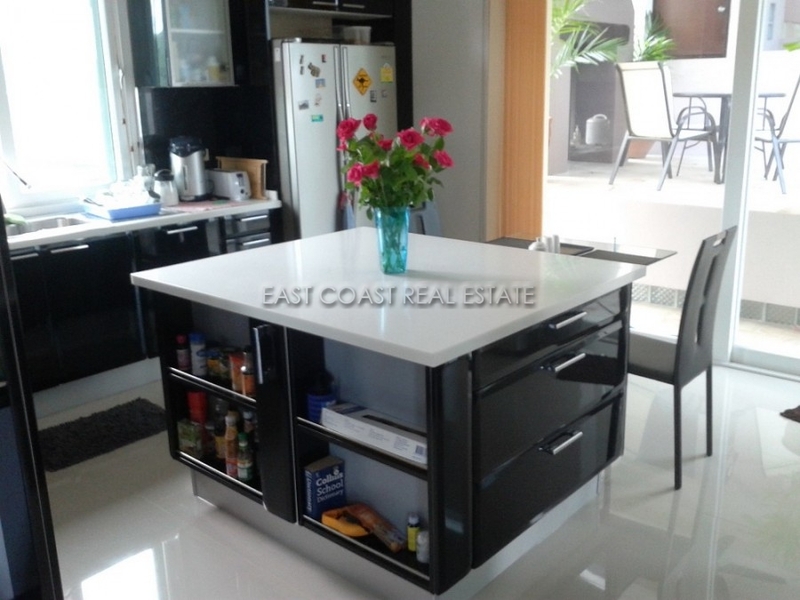 Offered for sale fully furnished throughout, and finished with a functional Western kitchen, energy efficient air conditioning, large bathrooms with mood lighting, and plenty of storage areas inside and outside of the propetry. 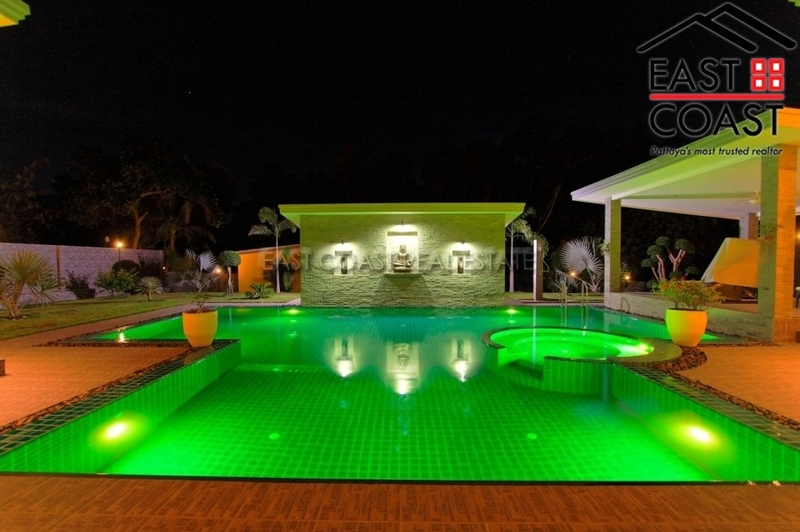 The elegant freeform saltwater-pool offers a jacuzzi, a waterfall and a remote controlled coloured light system. Water is provided by a deep 40 metre bore well, stored in multiple storage tanks, which is then passed through various filtration systems that provides drinkable water to the whole house. Even the fully automated sprinkler system has its own seperate water tanks. 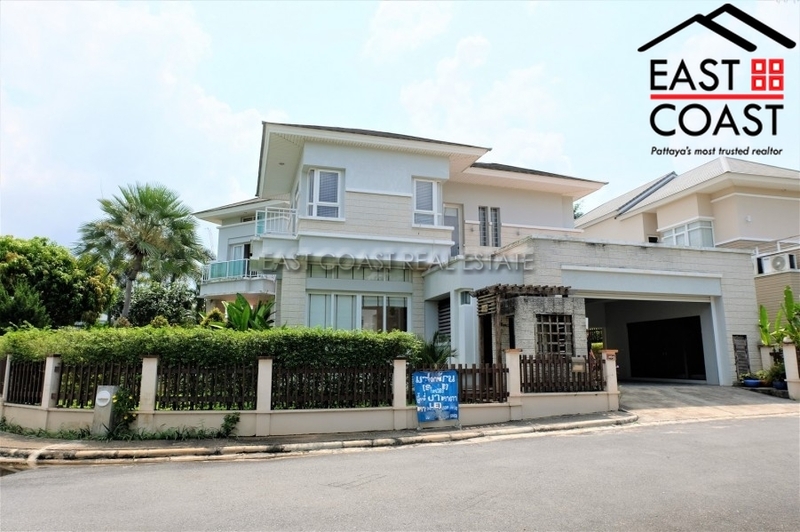 The location of this villa is relatively close to the Sukhumvit road, and the beaches and restaurants of Baan Amphur, South Jomtien. Close by is the wonderful Wat Yaan temples, Silverlake Vineyards, and a handful of golf courses. 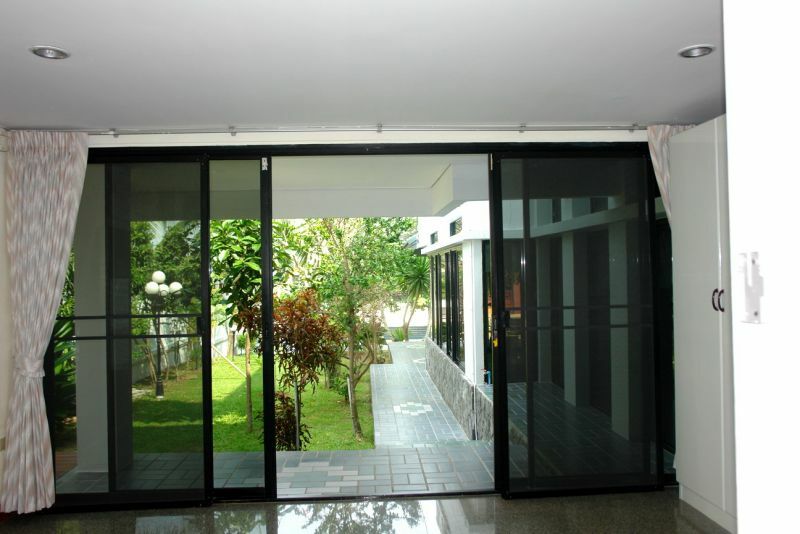 This property is held in Thai company name and will be sold with the company for an easy transfer. 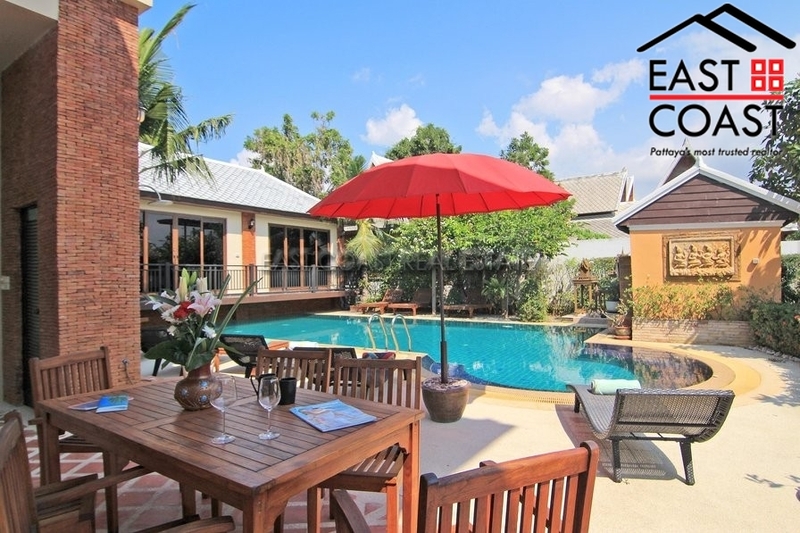 Phoenix House:This great private pool home is located on the golf course itself. 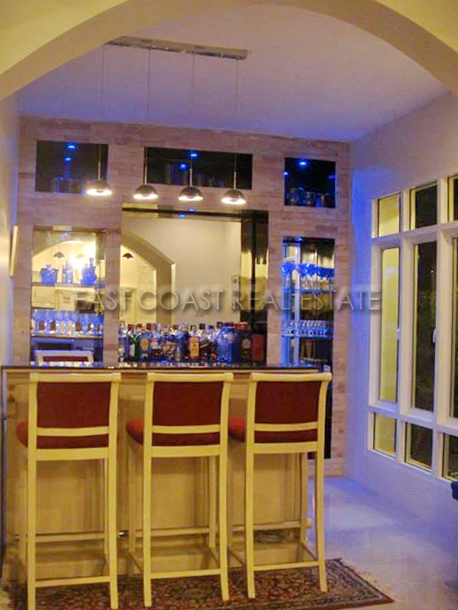 The golf course has tennis and clubhouse with gorgeous restaurants and bars. There is also a CCTV system throughout the golf course and many day and night security guards. 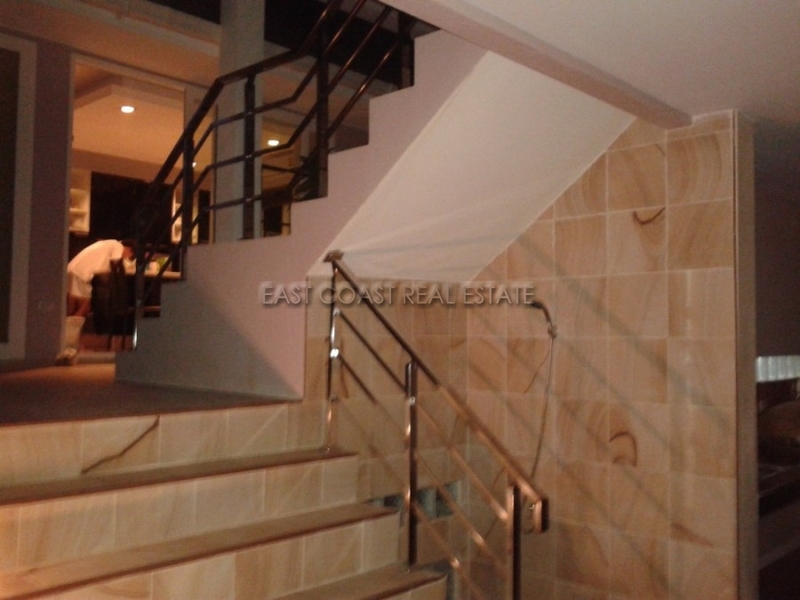 This house is 2 story and comprises 161 sqm with 5 bedrooms all en suite bathroom. 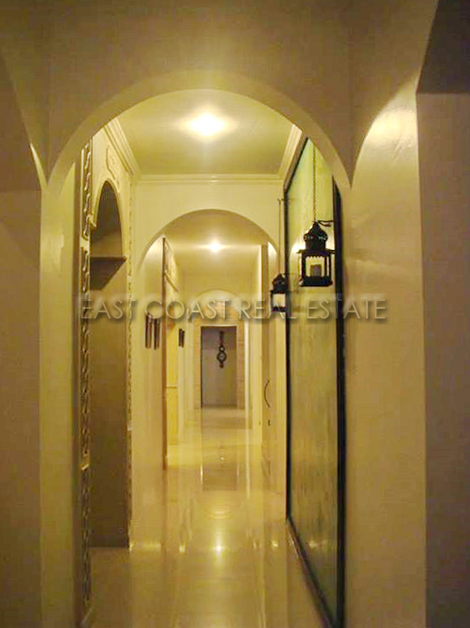 Inside the building, the property feels light and spacious. 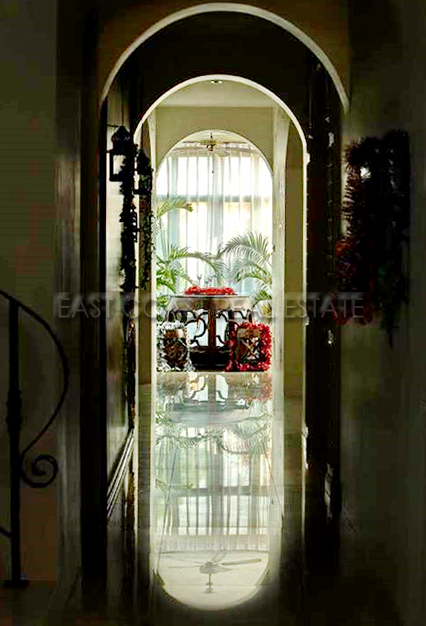 All floors are covered with ceramic tile, which makes the house cool and the whole house is furnished. 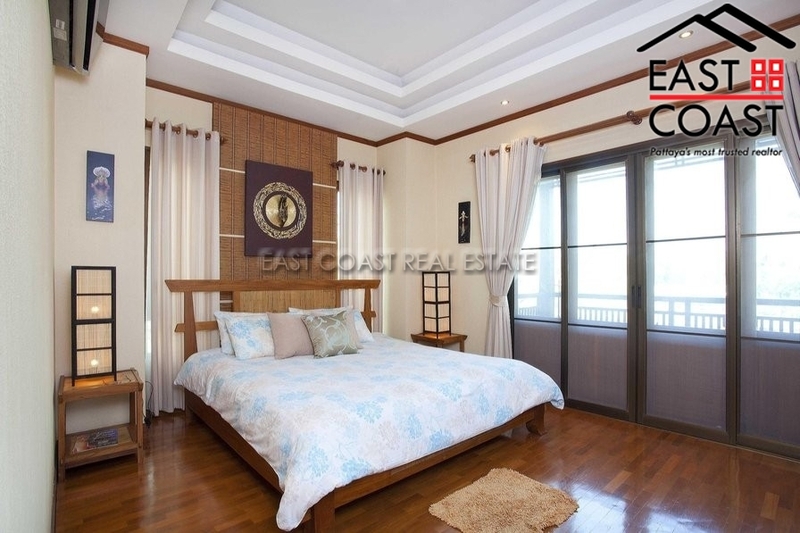 This home is really the perfect choice for those who want to escape the chaos of the city and get surrounded by peace and nature and yet secure. 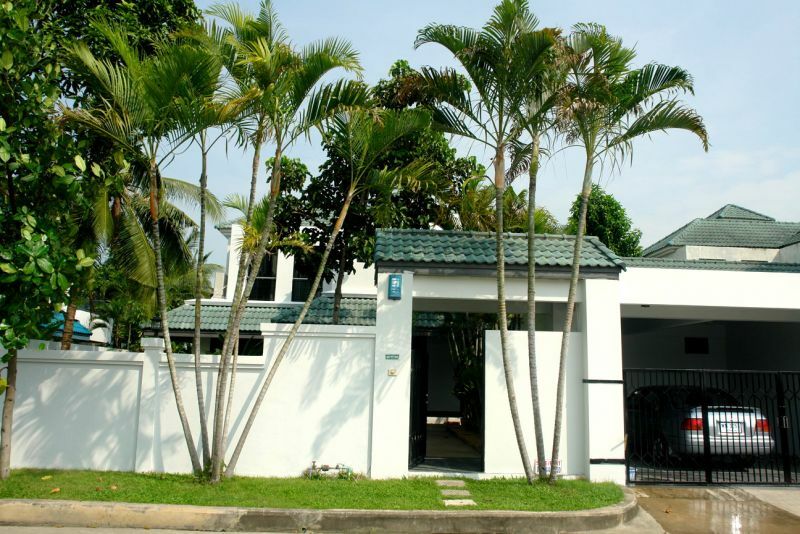 Owned by a Thai company incorporated in the sale of real estate. Available for Sale in Company name with 50/50 on transfer & taxes.